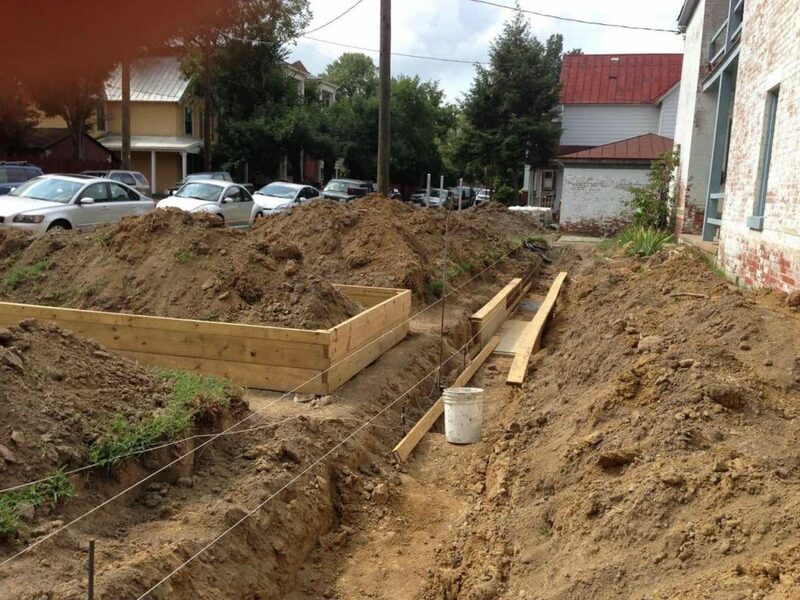 Victoria Garden was originally envisioned as series of raised garden beds that would be shared by immediate neighbors. 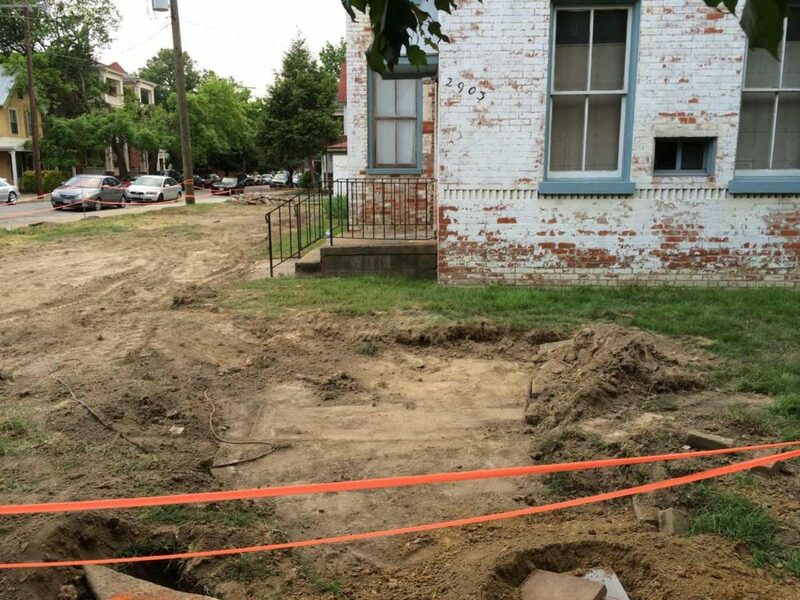 The open corner lot adjacent to its 1895 house’s adjoining property was a popular play field for many years to neighborhood kids. 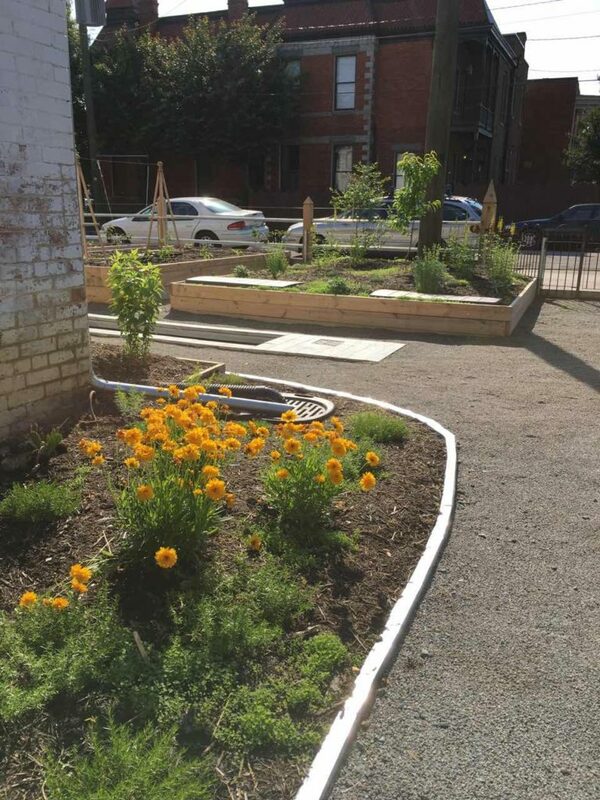 In its next incarnation as a garden, the property will not only serve as a learning and edible garden but also an oasis for pollinator insects, birds, and other wildlife. Perennial beds serve as Tree Guilds where plants and insects work together to support bird life and soil health, and provide tasty fruit. 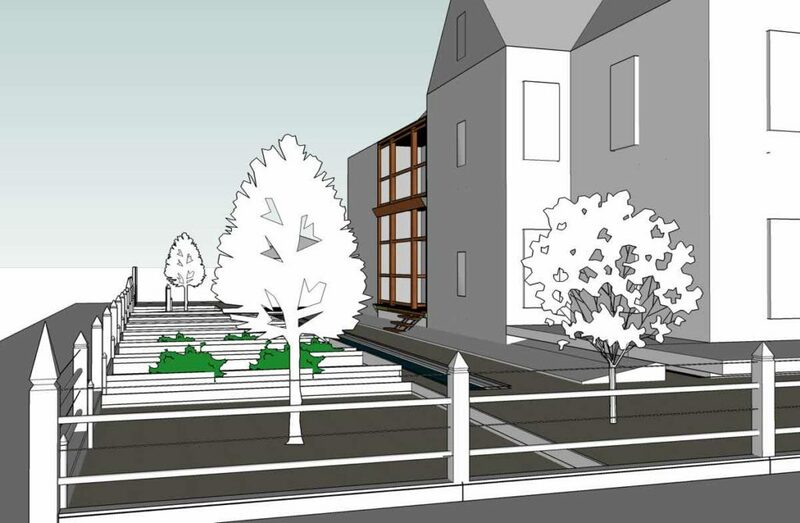 The gardens are irrigated with 2800 gallons of capacity from rainwater that falls on the roof of the house. 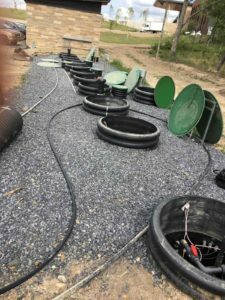 It is captured from downspouts and filters that feed a 1500 gallon cistern and a narrow 1000 gallon pond that runs the length of the garden and serves the soaker irrigation system automated with rain and temperature sensors and controls. 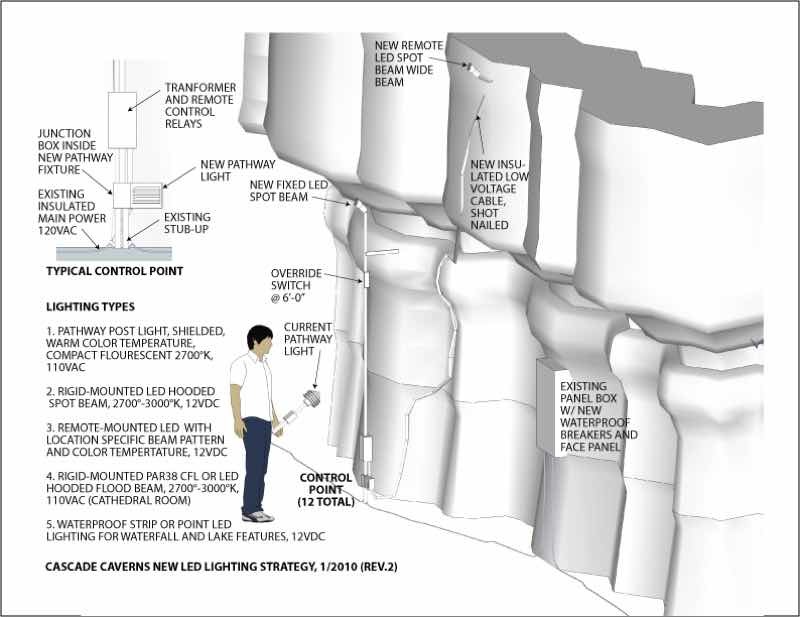 All site lighting is 12 volt LED, with the majority integrated within landscape elements. 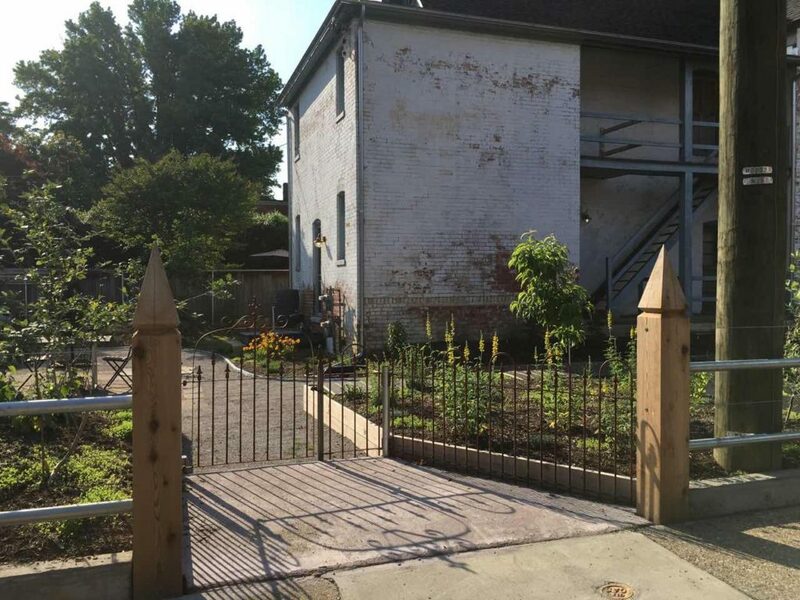 As an homage to the original 1895 site fencing, custom rails and cedar posts encircle the property along with iron gates and galvanized wire panel sections woven with cedar wood strips. 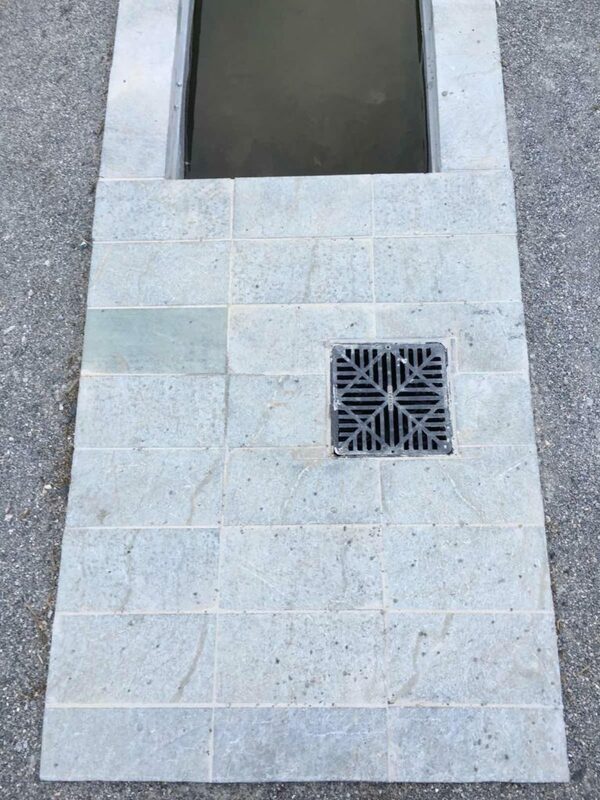 Materials such as concrete demolished on site were repurposed as pavers to cover the cistern. 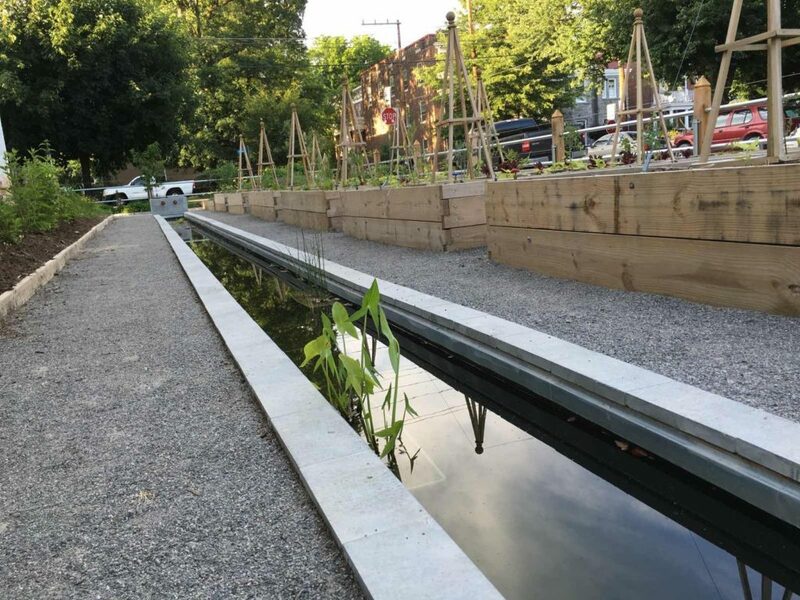 Soapstone for the ponds and parking pavers came direct-from-quarry via Alberene Soapstone of Schuyler, Virginia. 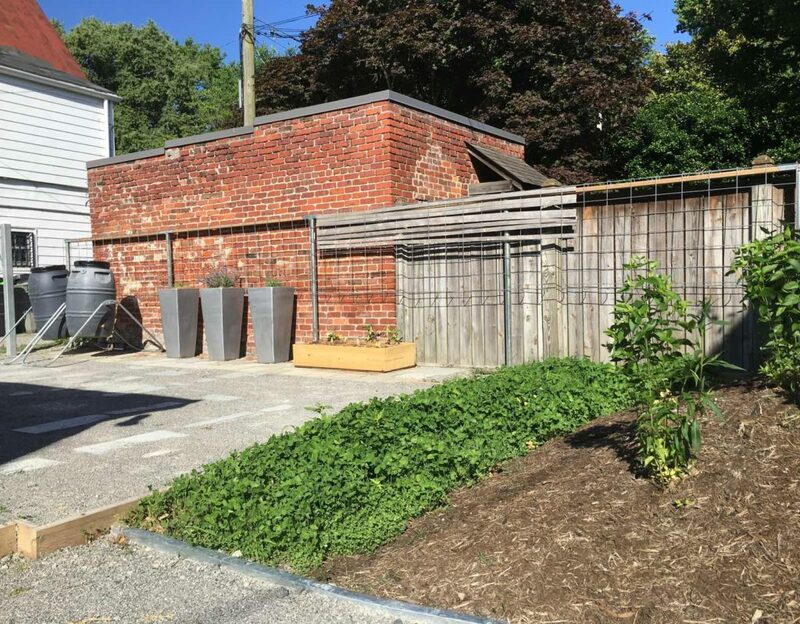 Permeable stone dust covers the remaining site that is not planted with perennial natives or annuals. 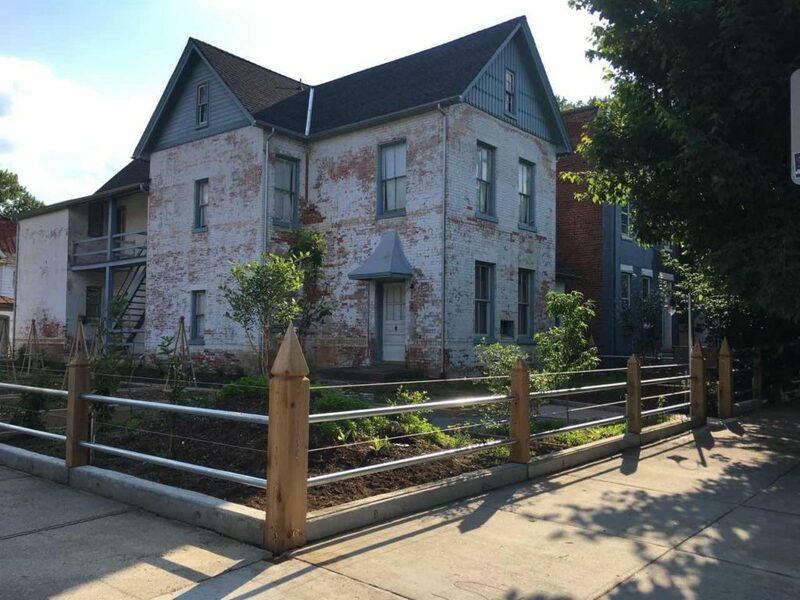 On property still hosting his condemned childhood home, a vision for a new house was created that would serve the next generation of this established West Point family. 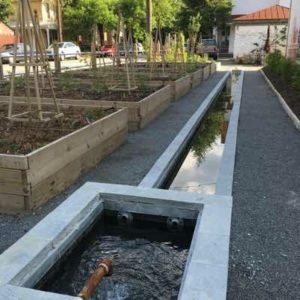 A small physical, and ecological, footprint was the mission of the clients and several creative solutions were developed to meet this criteria. 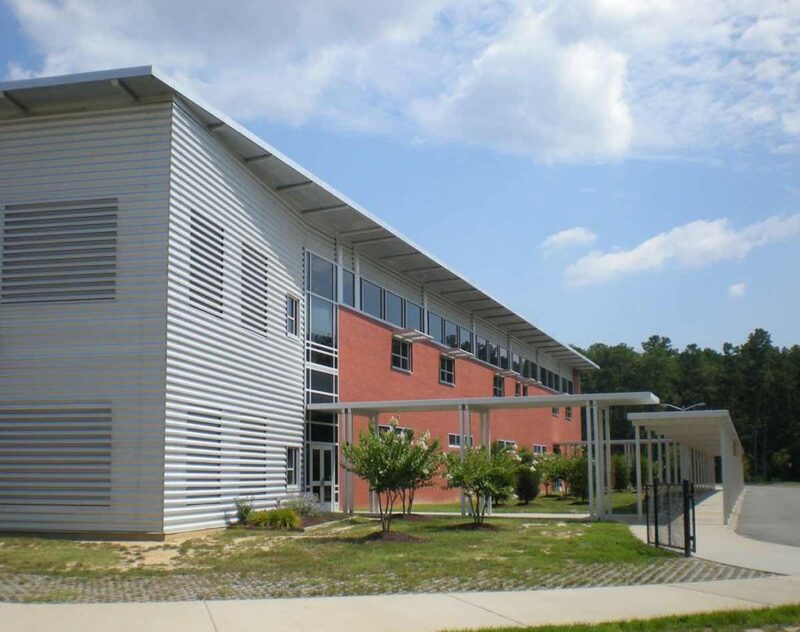 Low impact and durable interior and exterior materials were chosen, along with efficient HVAC and plumbing systems, solar shading with proper building orientation, and a rainwater collection system. 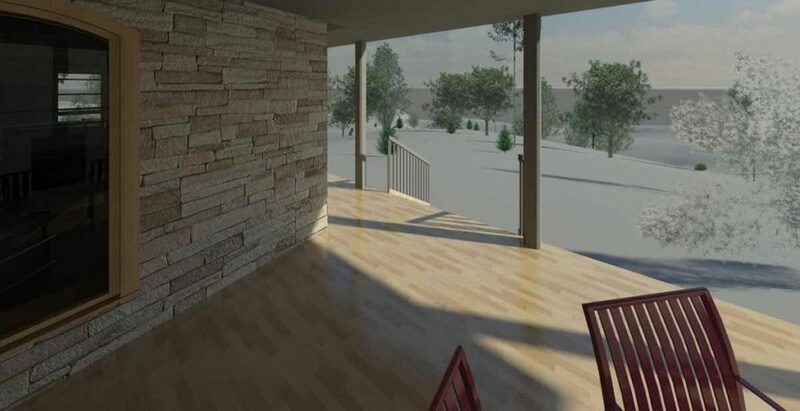 Of course the plan of the interior and site were developed through client meetings and several iterations to find the ideal solution to meet the requirements of the owner. 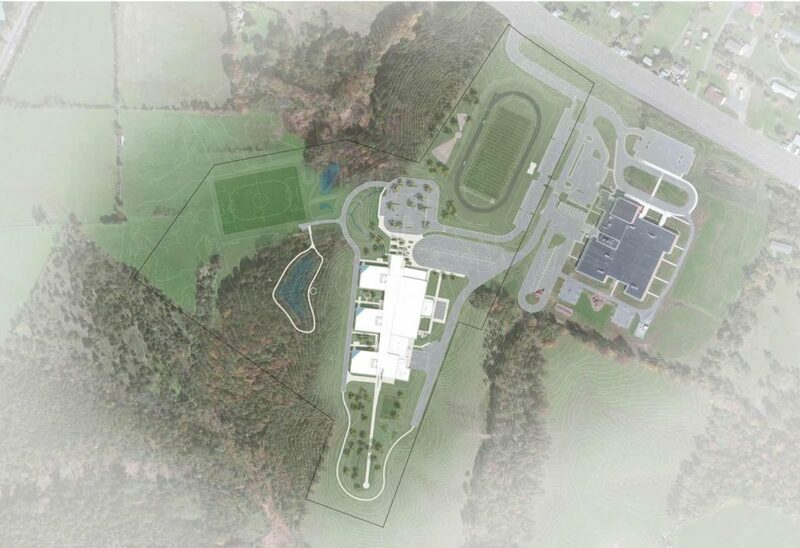 The design team was charged with the design of a new middle school for Frederick County, Virginia to replace the current in-town school. 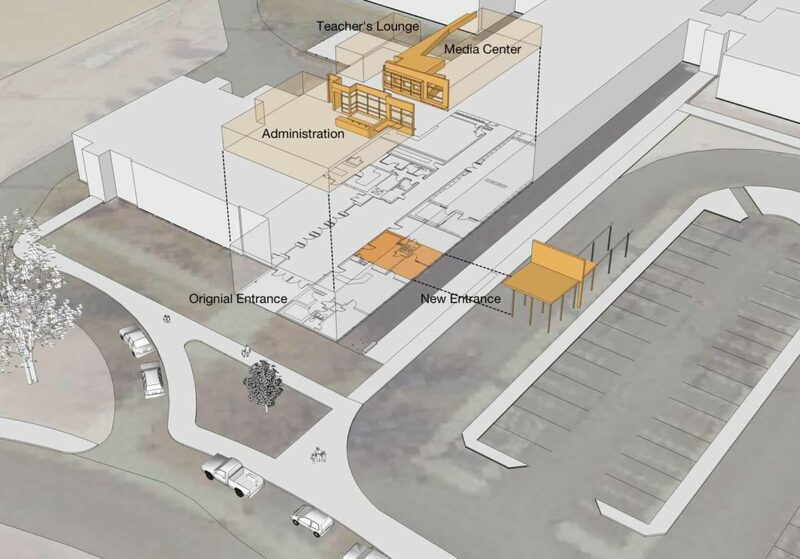 Along with the a new school campus the building would be a place to implement the student-centric and blended-learning strategies being promoted by a new superintendent and School Board. 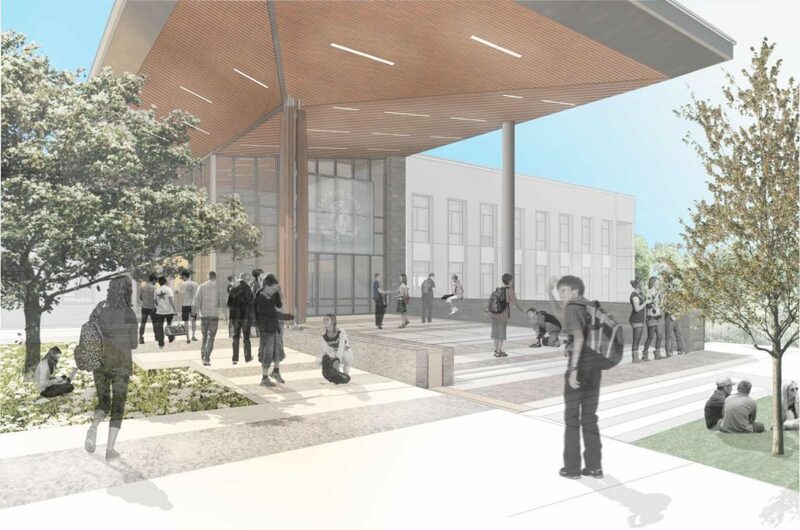 The design team created a vision with advocates from student, teacher, and citizen groups who shared their hopes for a school that would transform learning and their community. 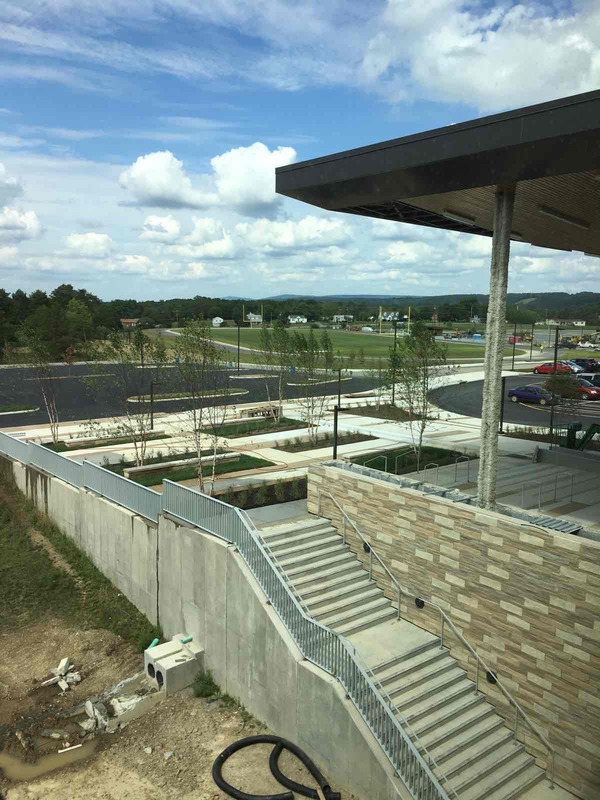 The site for this innovative middle school program was rightfully located in the under-served, rural Gainesboro Community in the northwest point of the County (and Commonwealth). 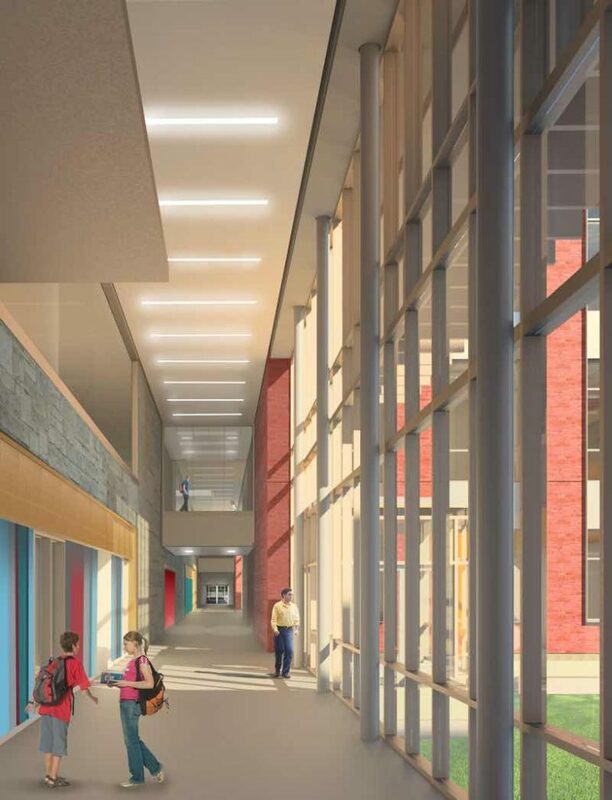 The vision developed through meetings and charrettes with the project advocates defined four qualities to incorporate into the design: student-centered, highly adaptable, community orientated, and high performing. 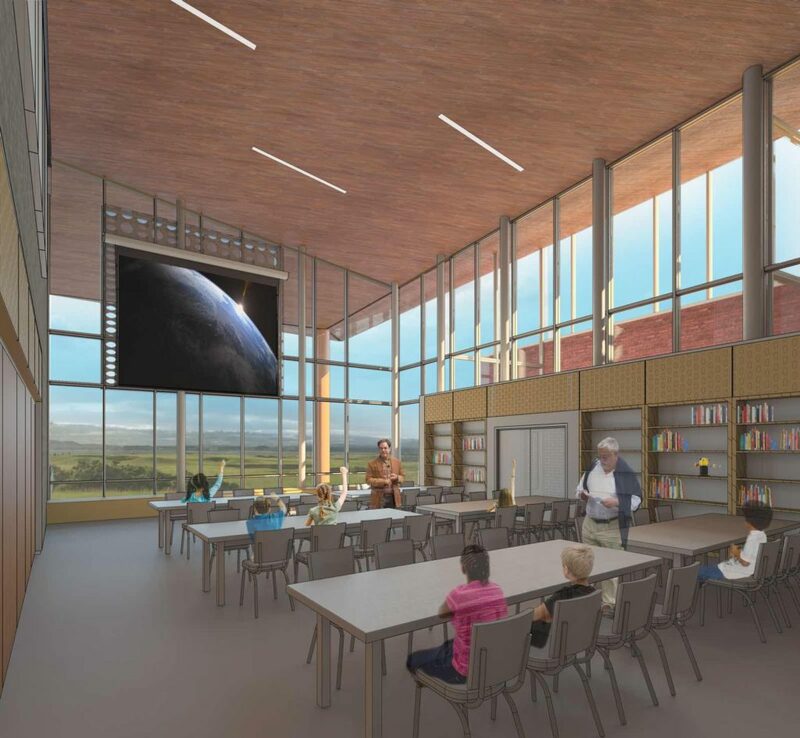 Educators appealed overwhelmingly for student-centered and highly adaptable spaces that would foster student creativity, collaboration, communication, and the making of things. 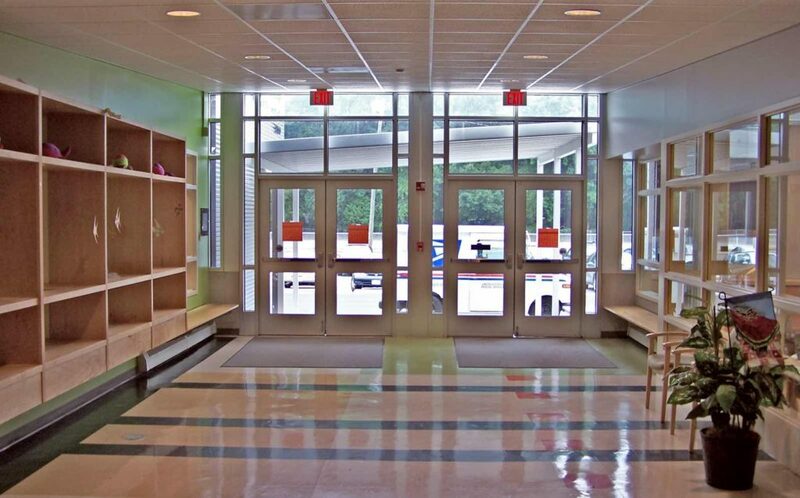 The school is designed around 9 small learning communities (SLCs) each serving groups of 100 students. The SLCs are designed around three modes of 21st Century learning: know (instruction), understand (collaboration), and do (experiential). 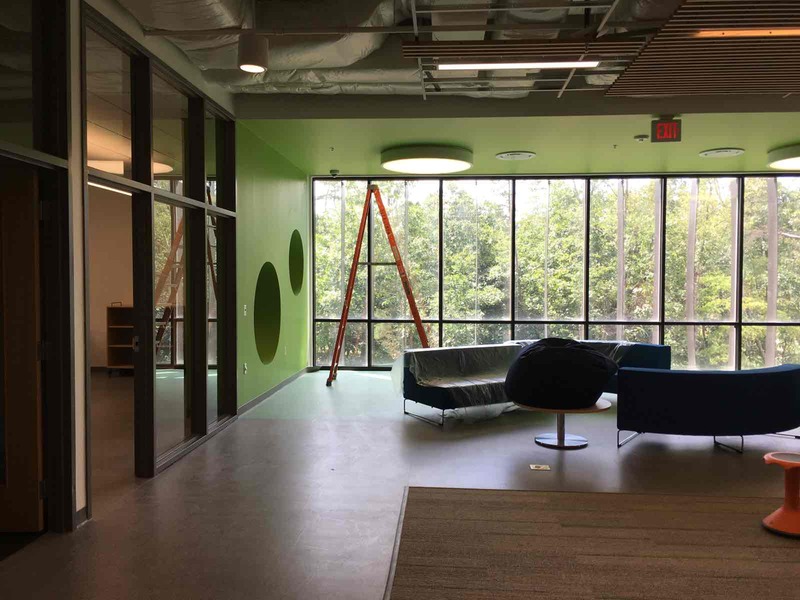 Replacing the traditional classroom are more open and configurable learning studios supplemented by high- and low-intensity labs, team rooms, and other student and teacher resources. 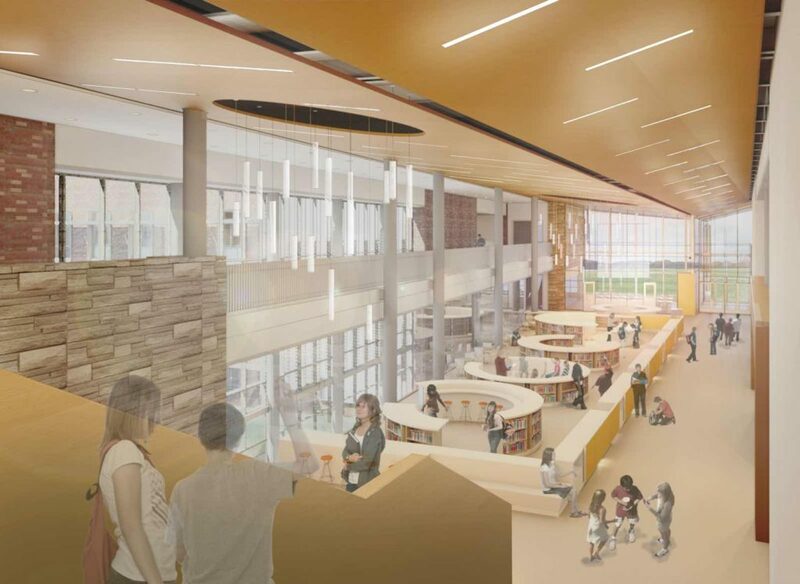 The heart of the school is an open, flexible, double height learning commons that includes a community room, open media center, IT genius bar, amphitheater stair, and a variety of educational displays. 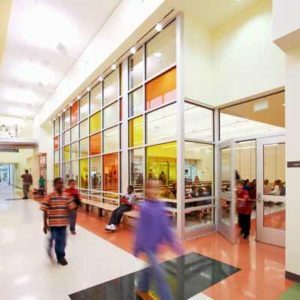 The cafeteria and physical education programs were reinvented (including an indoor running track, fitness studios, bouldering wall, and site walking trails) to promote long-term health and well-being and to act as community assets after hours. 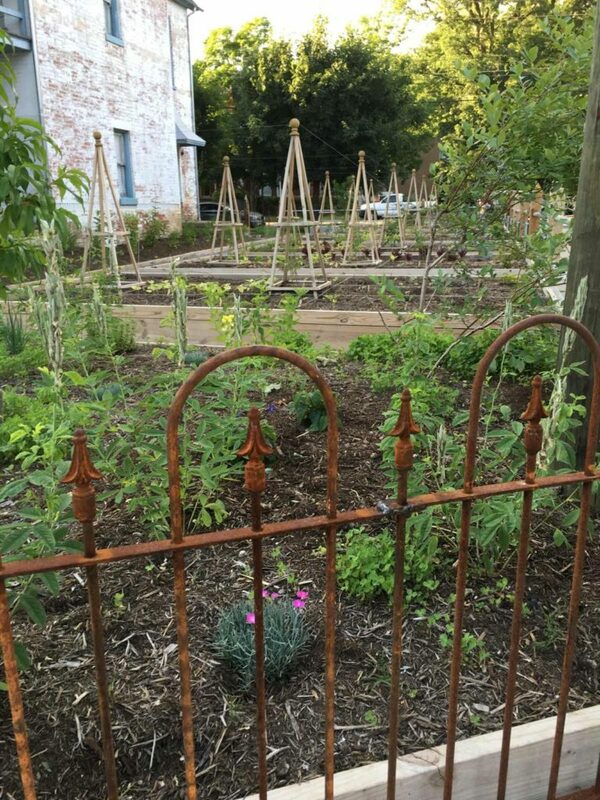 Project advocates were passionate about providing a new school as both a source of pride for the often neglected communities around and including Gainesboro and as a resource for the community. 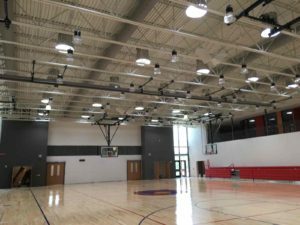 The gymnasium and fitness loft allow for easy access by Parks & Recreation programs and residents can also use the Community Room for adult education classes or seminars in the evenings. 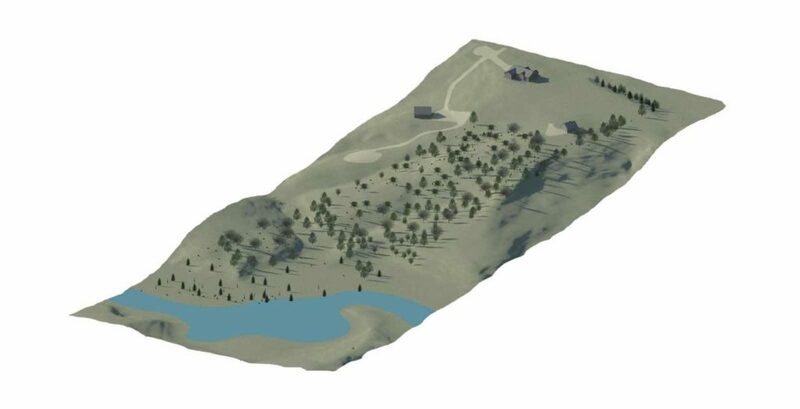 Signage to identify site and landscape systems provides educational opportunities as well. 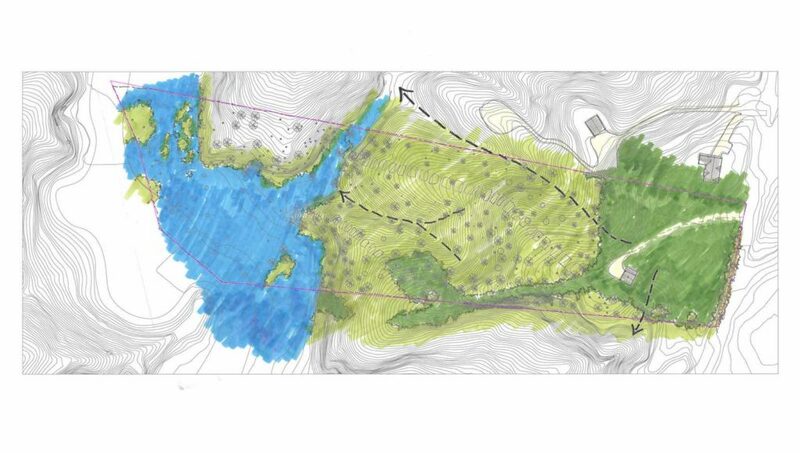 The design honors and celebrates the beauty of the site,, following the contours to balance cut-and-fill and limit impact. 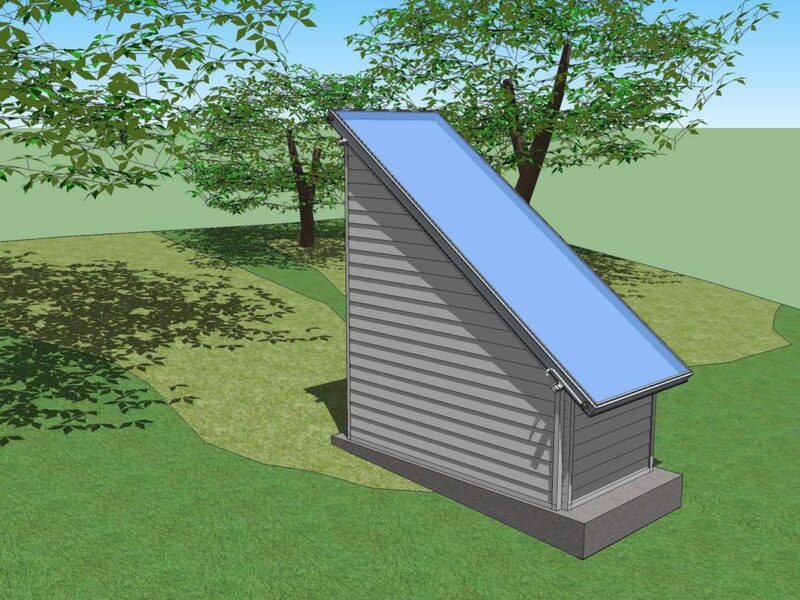 The project aims to be the first Net-Zero Water school in Virginia with no pipes entering or leaving the site. 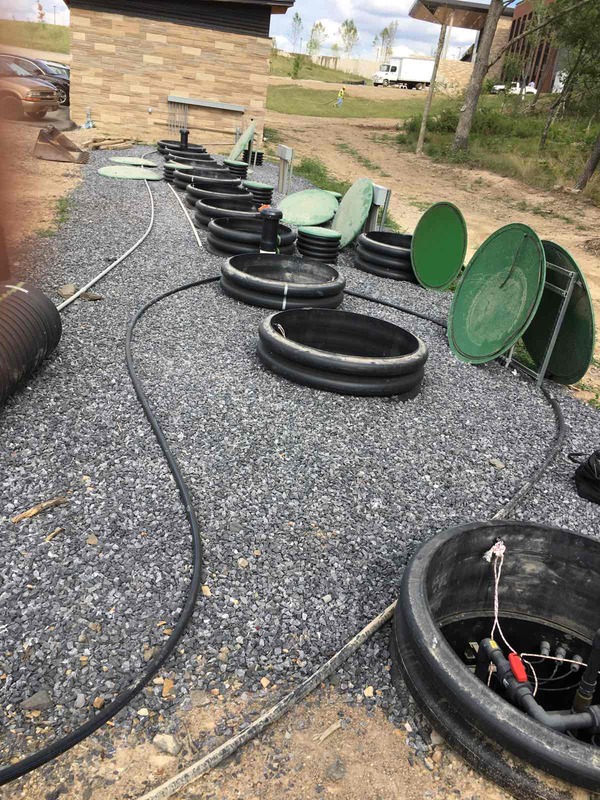 An artesian well provides high quality potable water, rainwater is harvested for non-potable water use, and a constructed wetland with drip disposal treats all waste on site. 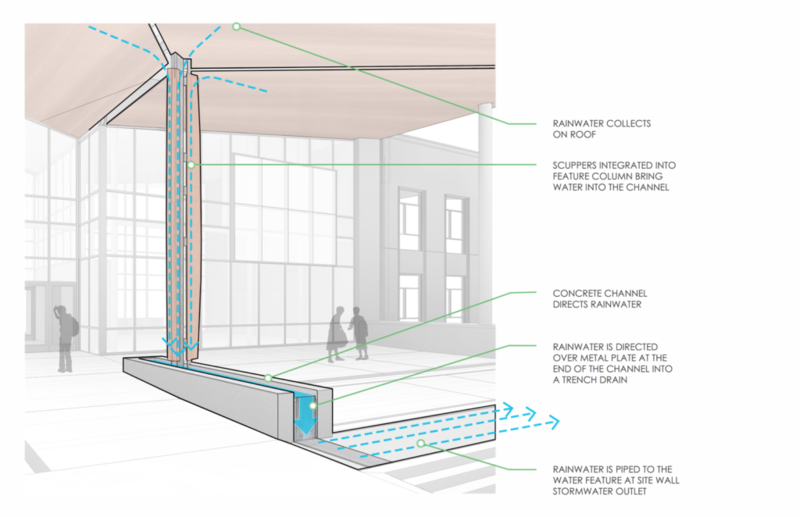 The building envelope has both a “wind-breaker” (continuous air barrier) and a wool sweater (3 1/2 inches to 5 inches of non-combustible mineral wool insulation). 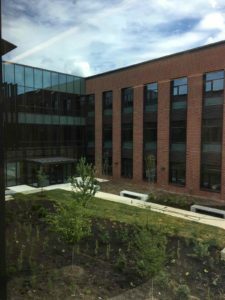 The building also employs high performance glazing and shading devices, a hybrid HVAC system that uses a geo-exchange, and low VOC materials. 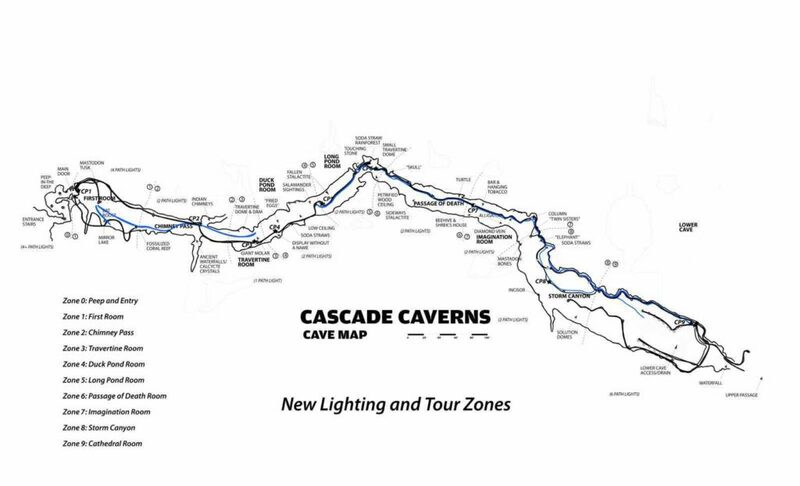 LED Lighting System design for a 1/2 mile Texas underground cave trail utilizing waterproof LED 12 VDC drivers to provide efficient, safe and color-temperature appropriate lighting for visitors and cave creatures alike. 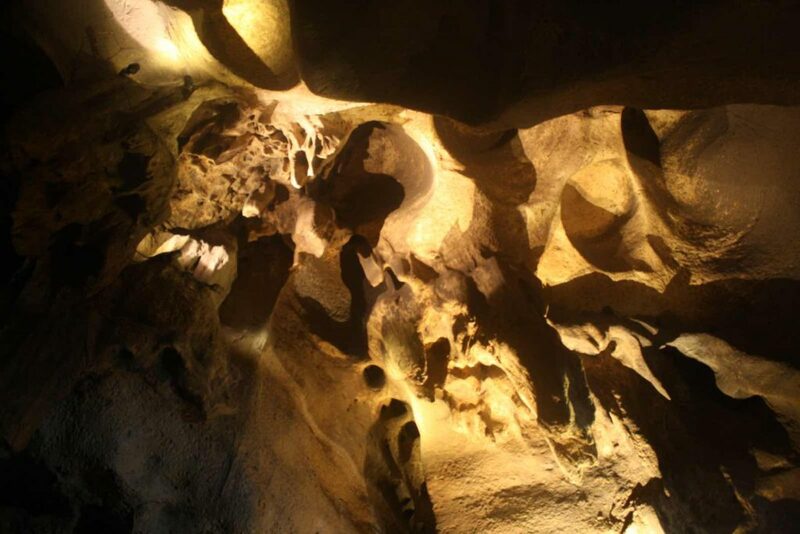 The design includes enOcean remote 4-channel controllers for customizing tours. 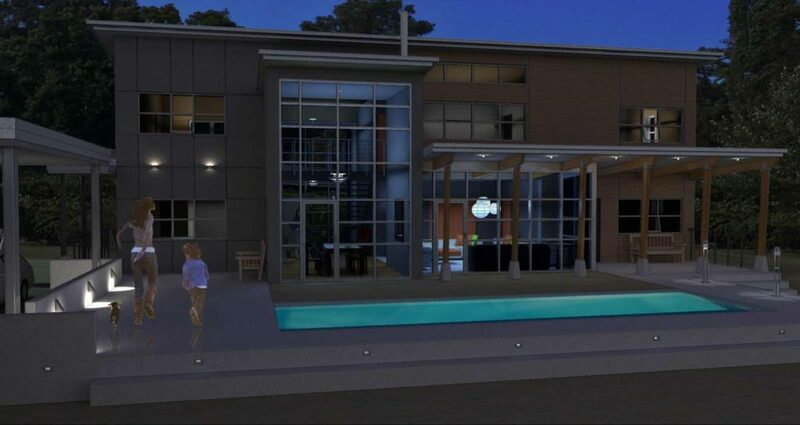 The goal of this project phase was to create a schematic design for a new 1200-1600 square foot single family residence with all primary living spaces on the entry level, as currently envisioned by the client and a reference plan. 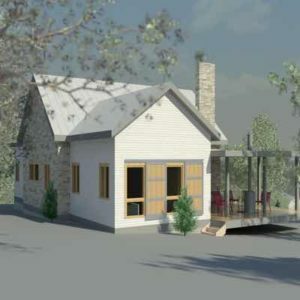 The residence will be known as the “cottage” and is planned to serve as the client’s main residence until a second residence (the “main house”) is designed and built on the site in subsequent years. 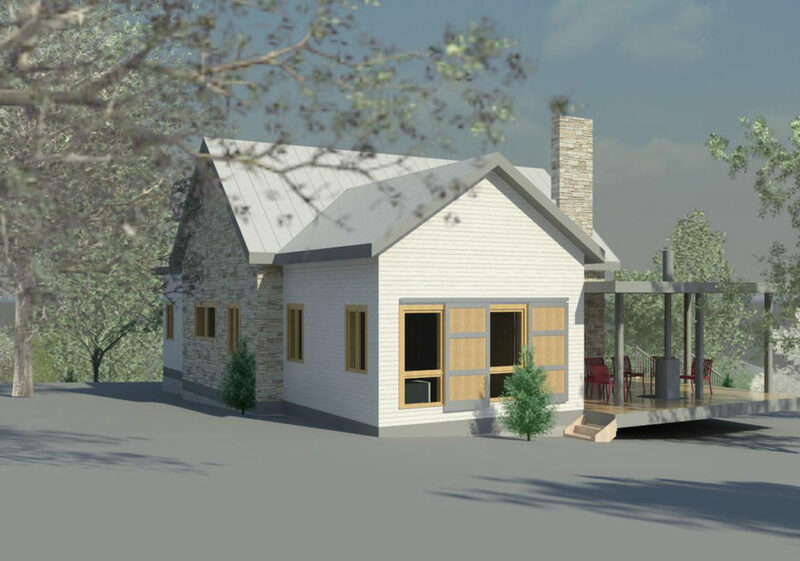 Within the schematic phase is also a site study and building layout that assembles locations for the main house, barn, cottage, and other site amenities and plantings as decided by the client. 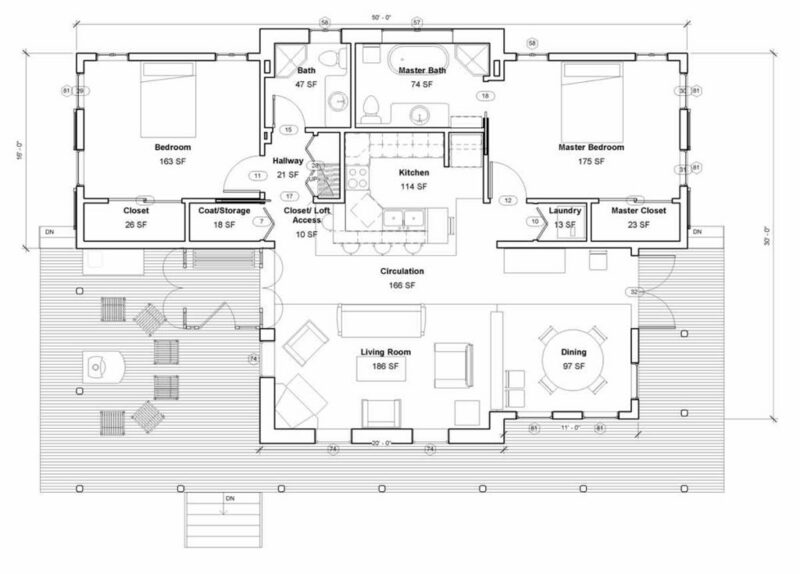 The schematic design and site study included the development of a full program for the cottage, a room layout and adjacency plan including the location of the kitchen, mud room/entry foyer, utility/mechanical room, a combined living and dining area, bedrooms, and bathrooms, a material selection guideline with examples and recommendations, a selection of technologies and systems with recommendations, and other spaces developed through the program review. 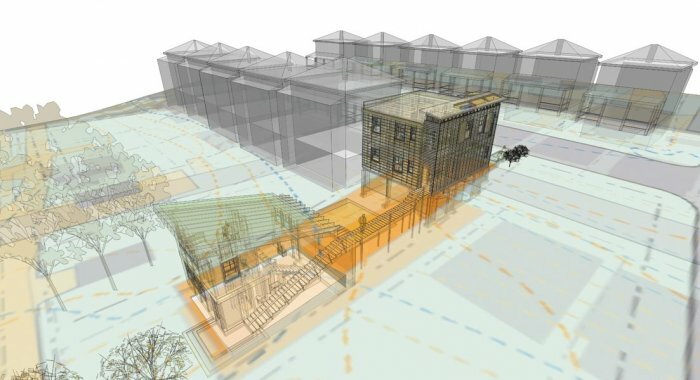 The project will incorporate numerous sustainable design strategies such as: minimal site impact, southern orientation for passive solar gain and daylighting, cross ventilation and passive ventilation strategies, sustainably harvested wood, low flow water faucets and shower heads, and a cistern or rain barrels for collecting and dispersing rainwater. 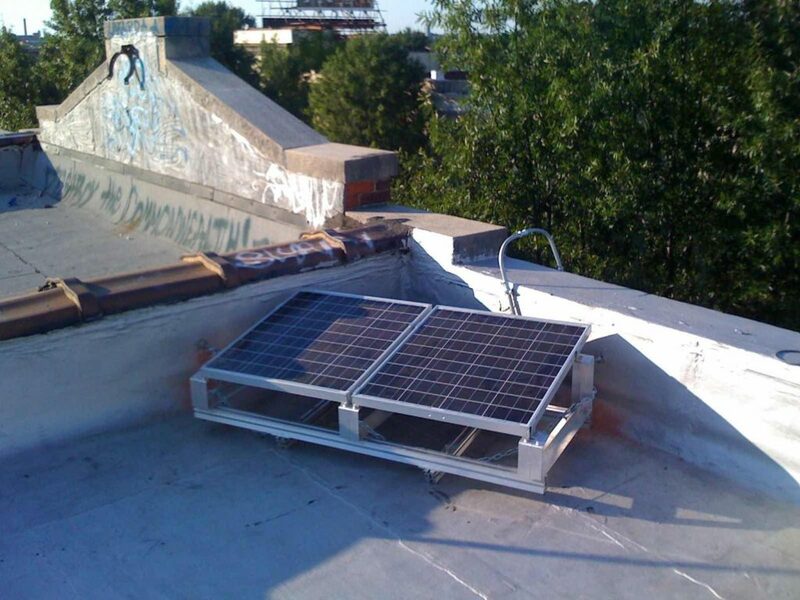 We’ll also look at the viability of installing a photovoltaic array, a solar hot water system, and an energy recovery HVAC system. 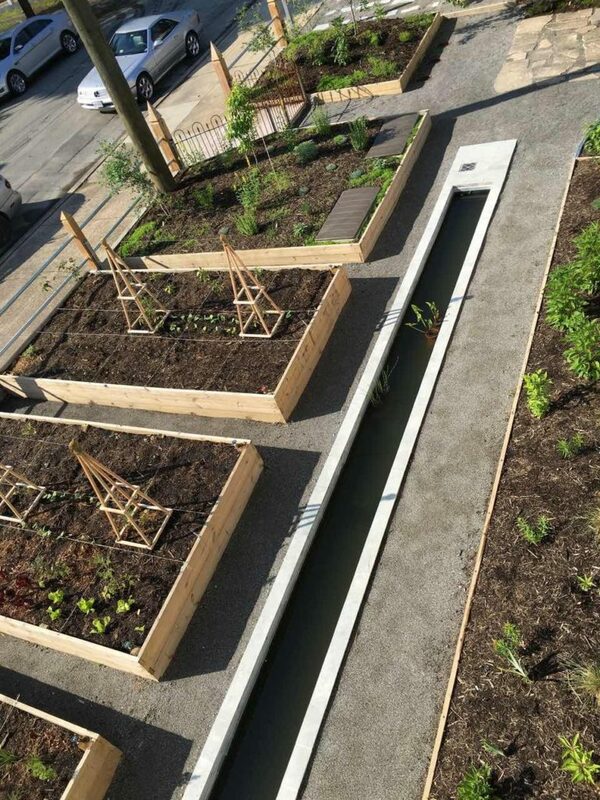 Durable, natural and local materials will be chosen wherever possible. We also suggested employing a green building rating system be incorporated into the design and construction of the project to quantify our successful implementation of these strategies and to make any tax incentives for energy efficient homes available to you. 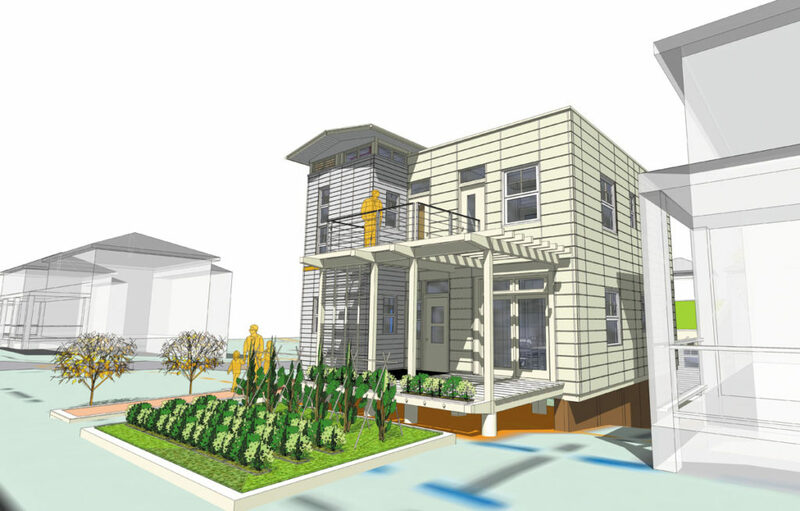 This would entail the design pursue a Silver rating in LEED for Homes or Earthcraft Certification at a minimum. 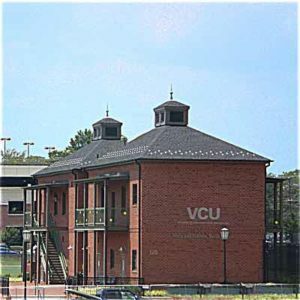 Lobs & Lessons is a Community program of VCU promoting life skills development through the medium of the sport of tennis to disadvantaged youth in the Richmond metropolitan area. It has worked with more than 250 children since its inception in 2004 and now has the ability to serve an even greater population with its new headquarters and facilities. 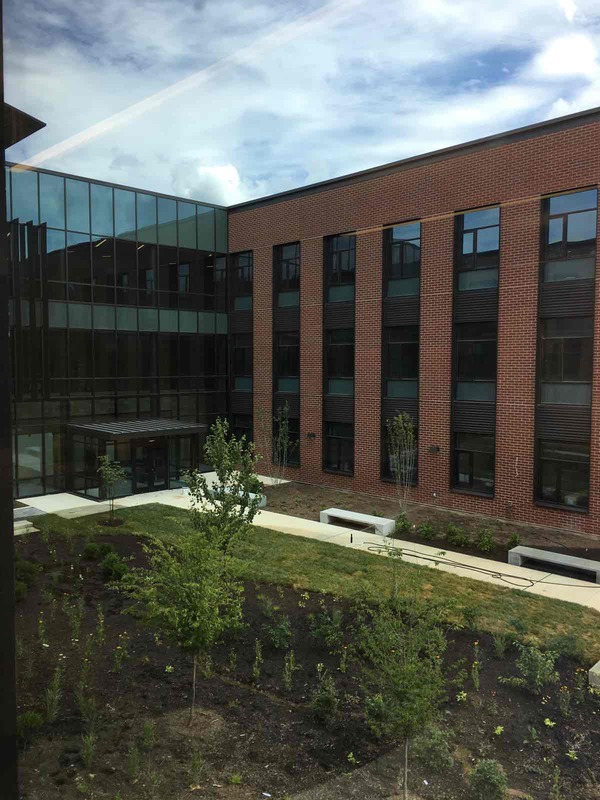 The facility is named in honor of the donors’ mothers, Mary and Frances, whose children Michael Frazier, president and CEO of Genworth, with his wife Elizabeth, made the new Center possible through their generosity. 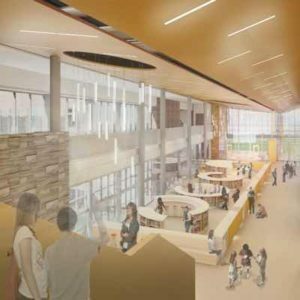 The design of the Center was the culmination of many iterations, programs, and alternate site studies. The final site on the VCU campus was ideal from a programs standpoint, exposing kids to the university setting and university students and athletes to the children. 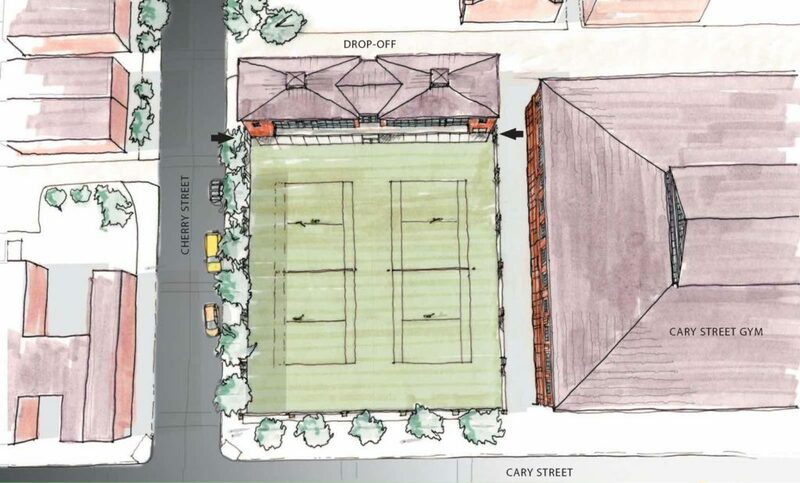 However, the limited space created significant design challenges, namely, getting enough square feet of program space into a building while retaining enough site space for the tennis courts. There were certainly trade-offs between the minimum court size and a minimum functional building footprint. 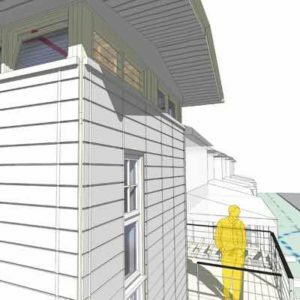 A final 24 feet wide by 114 feet slender two-story building provided a challenge. 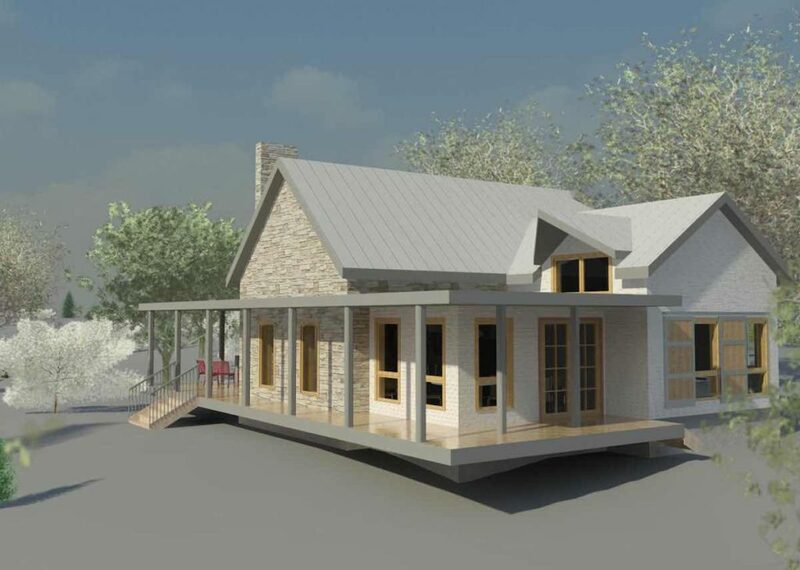 Fortunately, we’ve got a model for that kind of proportion in the South that allows two structures to share a porch/breezeway and its called a dog trot. 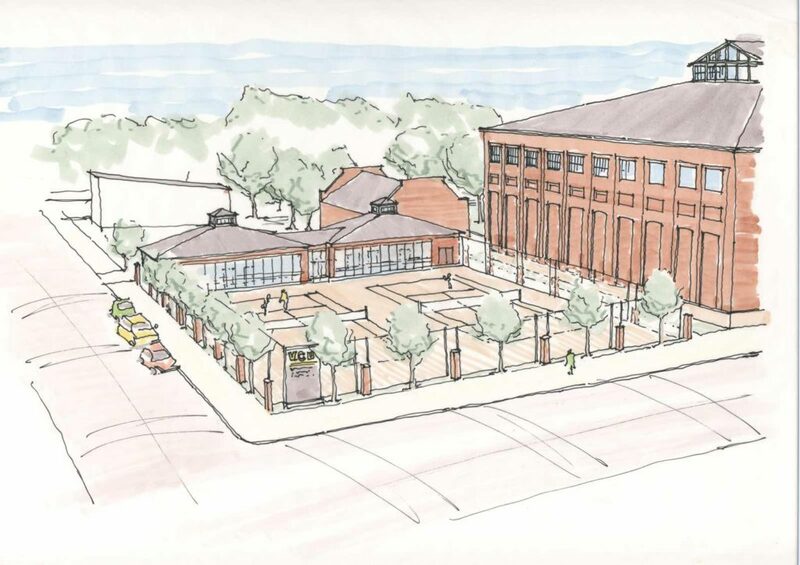 So in an homage to its venerable giant neighbor the Cary Street Gym (formerly the City’s public indoor market and auditorium), the dog trot, and its given rigid footprint, we came up with a design that proved to be an elegant solution to the program. 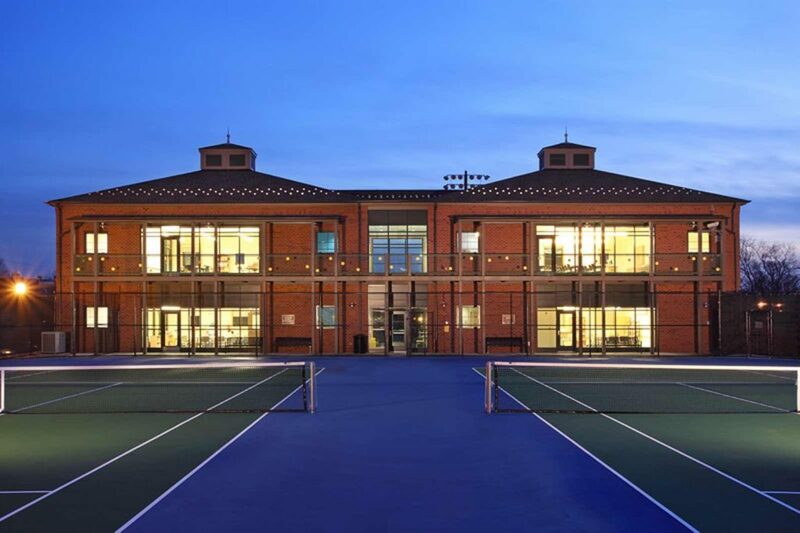 Two, two-story spaces that allow differentiation between classrooms, offices, and meeting spaces, and the benefit of greater acoustical separation, and a building that serves as a gate to the tennis courts at the perimeter of the property. 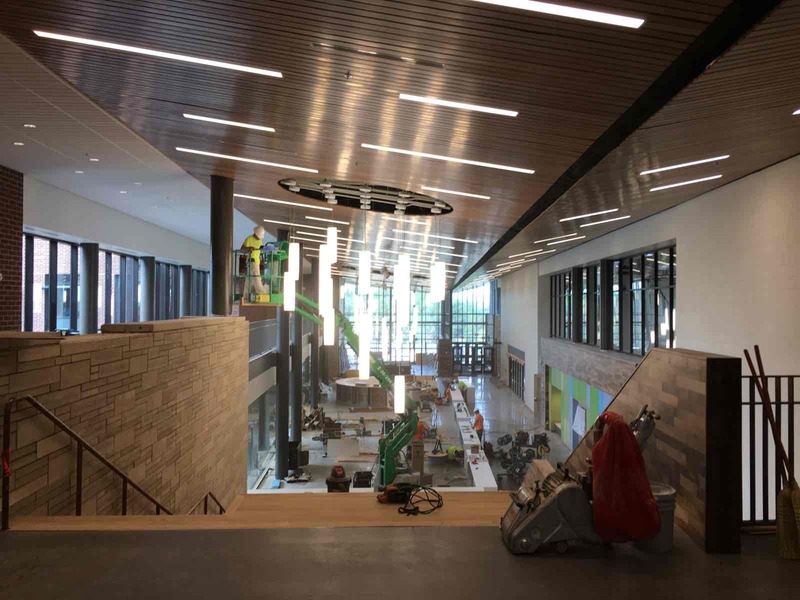 The scale of the building is able to relate to the surrounding Oregon Hill neighborhood and the materials and form to the Gymnasium. 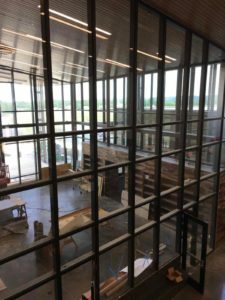 The interior and exterior were designed with security and supervision in mind, while considering solar shading and daylighting for staff and students. 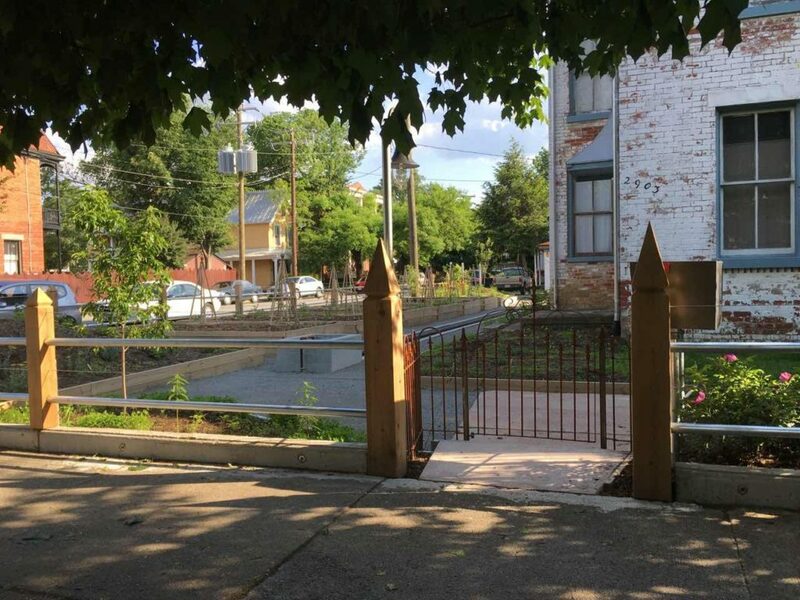 The porches were designed to serve these functions as well as those of game watching platforms and scale elements that further tie them to the human-scaled neighborhood which the Center abuts. 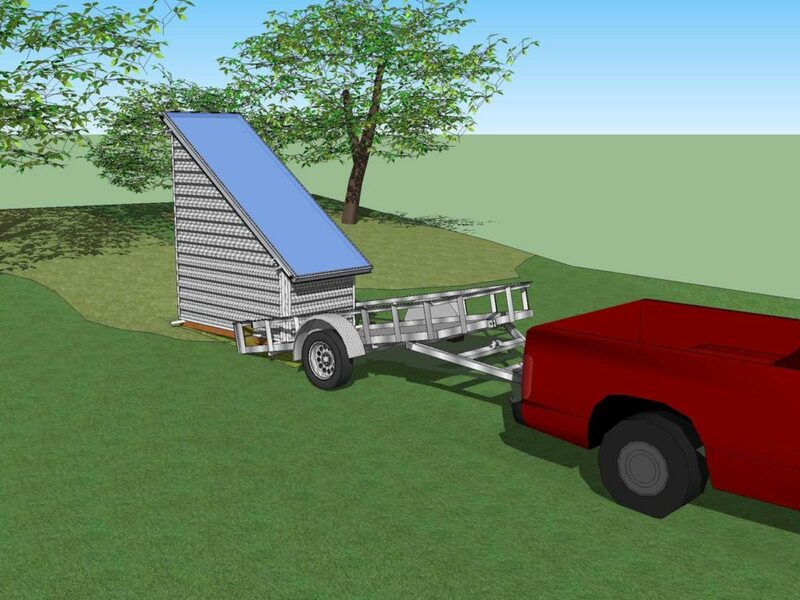 Full Scale Architecture was asked to develop a prototype modular solar hot water system to be used with underground sand thermal sinks by Richmond’s Bysolar Company. 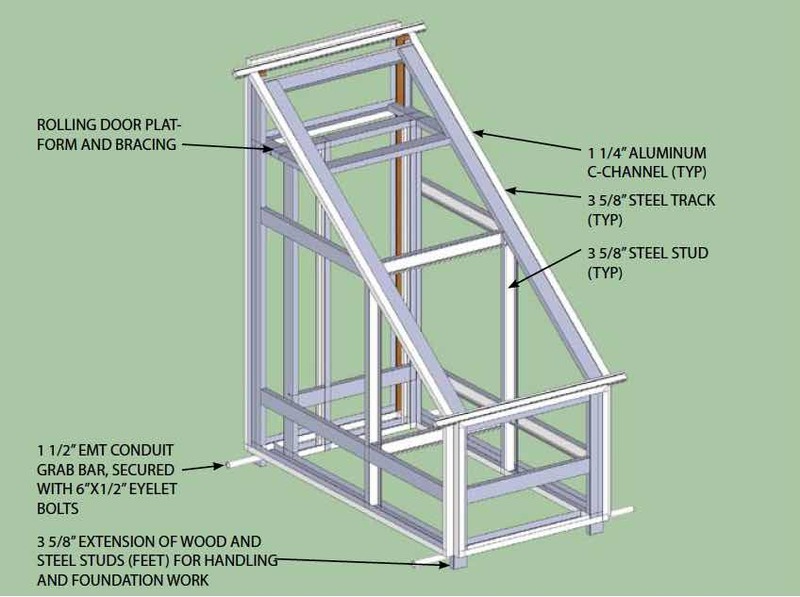 The task included the fabrication manual, design, and testing. 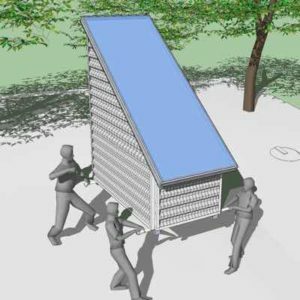 The product is meant to be simple and inexpensive to build with off-the-shelf green materials that are lightweight and recyclable. Part of inLight Richmond Competition which asked entrants to use light to respond to the existing urban infrastructure, bringing art out of the gallery or museum and inserting it into the cultural fabric of the city, inviting artists and audiences alike to explore a specific urban environment in creative, engaging and playful ways. 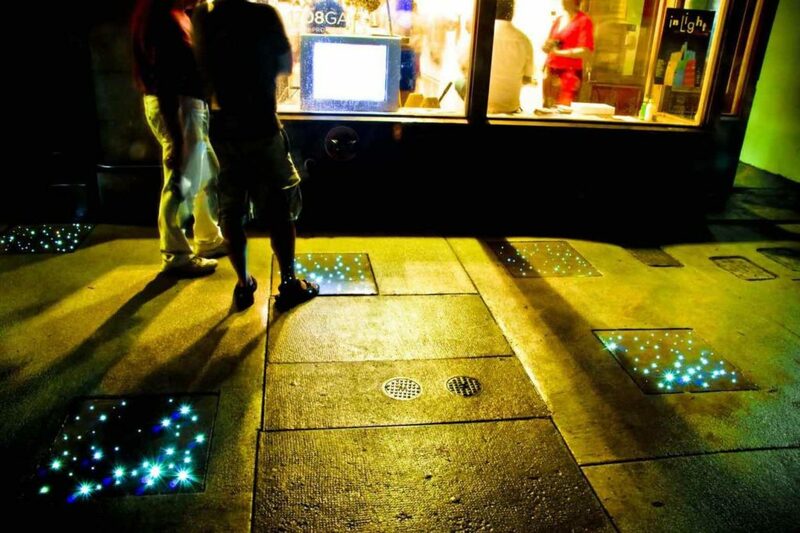 The entry is a demonstration project of off-grid functional lighting system for lighting public sidewalks. 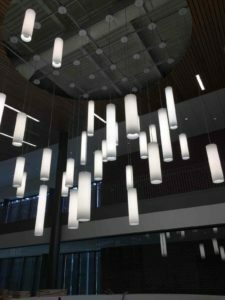 The lighting consists of eight 2’x2’ concrete panels with embedded acrylic filaments. 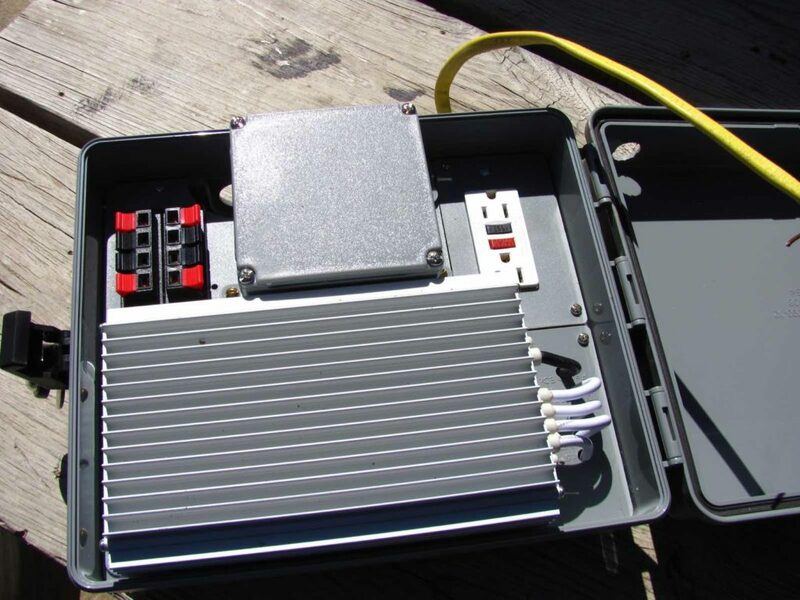 But instead of these filaments serving just as reinforcement (along with metal reinforcing), they are extended out of the paver in a bundle and into a remote light source that is powered by Solar Panels on the roof. 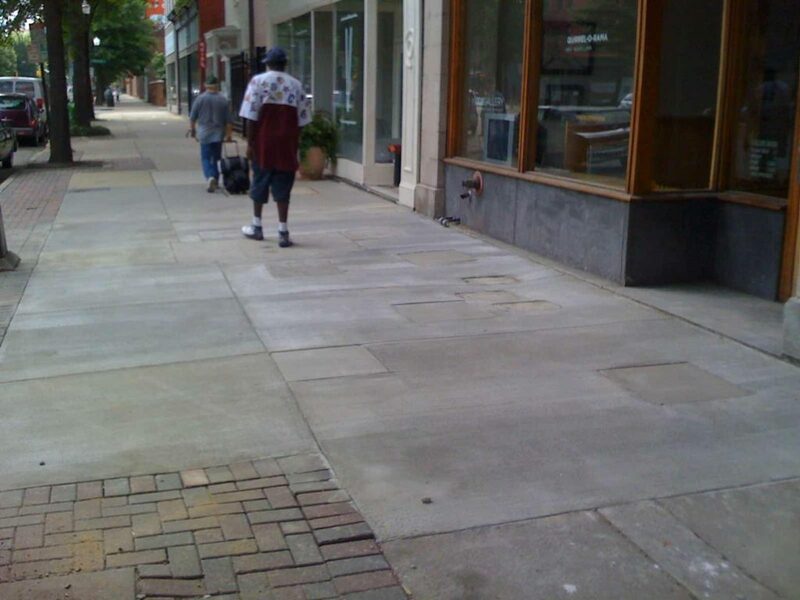 Since there are no electrical components in the concrete pavers and no degradable parts or elements, there are no additional maintenance ramifications or future demolition considerations necessary. 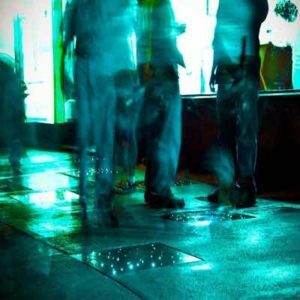 The solar pavers are high strength concrete with fiber reinforcing that also are able to transmit light from a remote source. 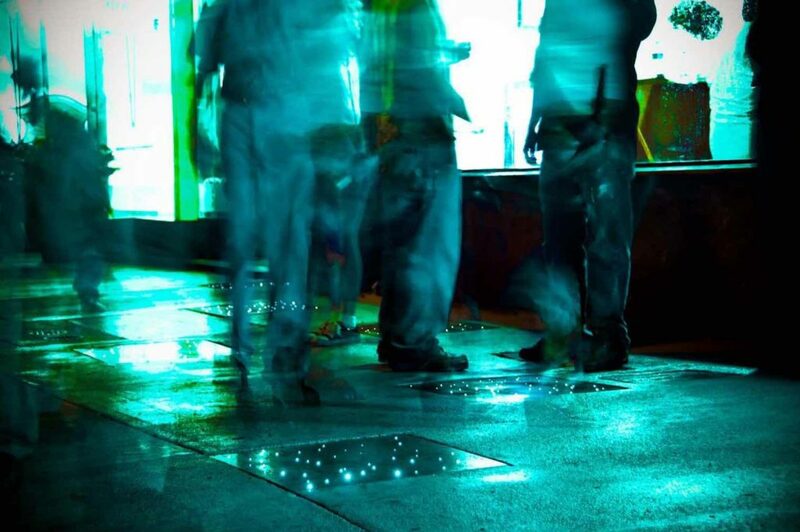 The remote light source is a 24 VDC, 5-25 Watt LED light source installed in the storefront of 1708 Gallery. 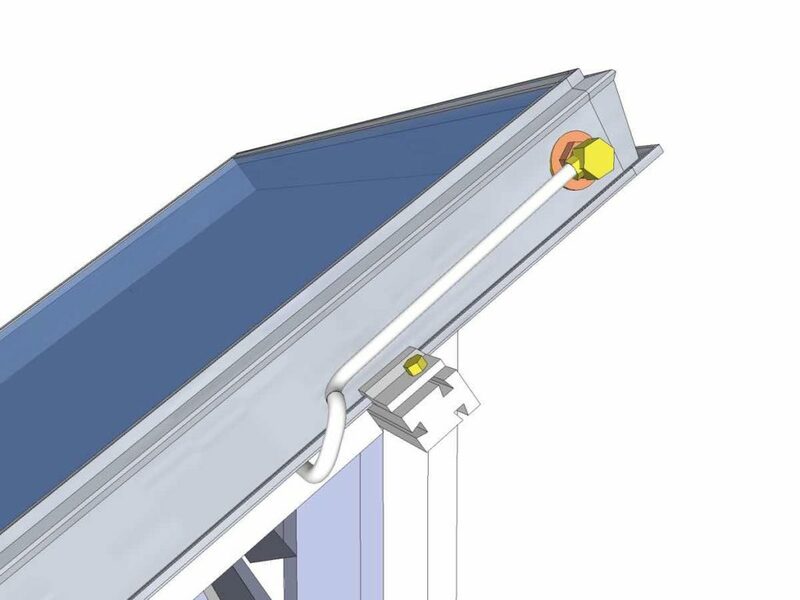 The light source draws less than 2-amperes of current and is solar powered through photovoltaic (PV) panels mounted on the roof with a 24-volt battery system. 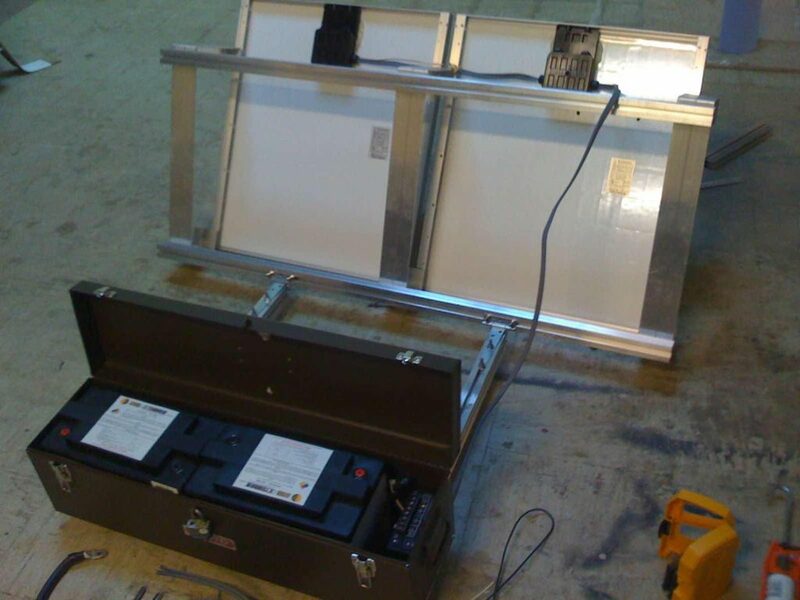 The battery storage capacity allows for a dusk to dawn supply of artificial light. Green building seems like second nature now but in 2001, after being selected to design a new elementary school for Henrico County, it was a challenge. 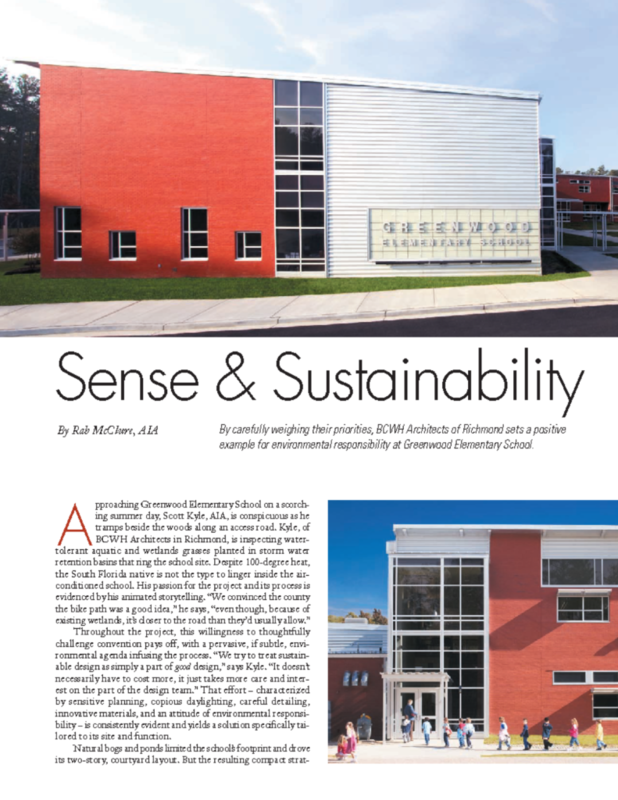 LEED was out of the question and sustainability was still a foreign word. But work on creating a sustainable school began nonetheless. 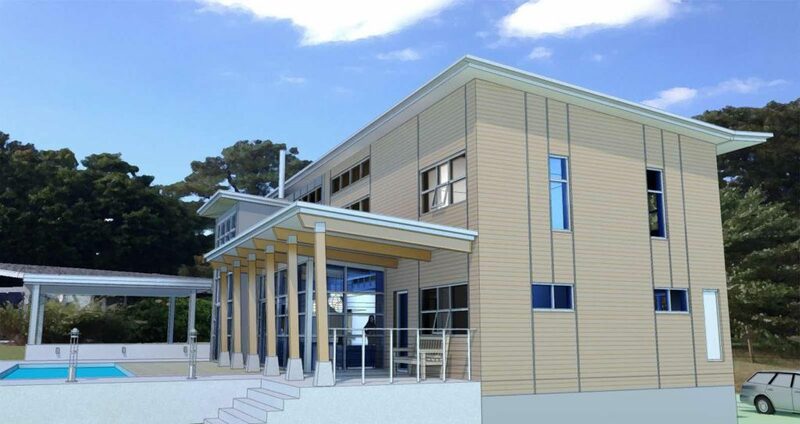 The construction market was ideal and this green building came in under budget at $120/sf. 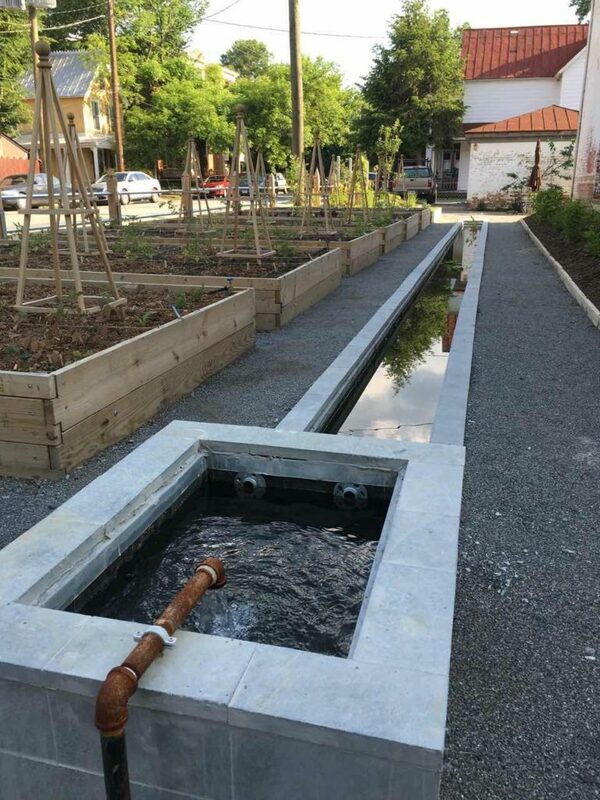 Many of the green strategies and materials listed here were firsts for a Henrico County. 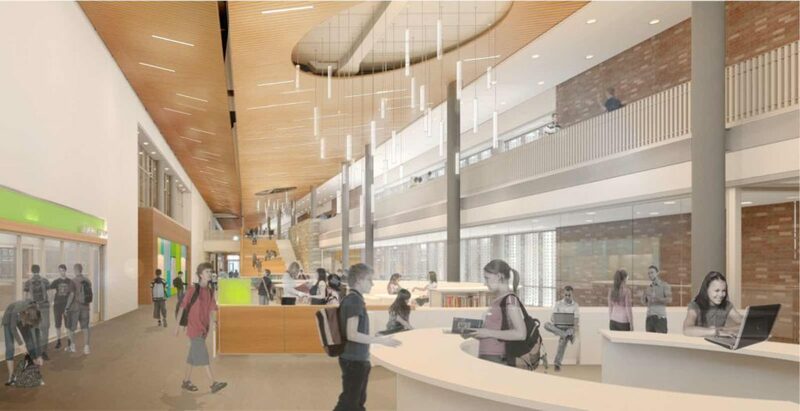 Notably, gypsum wallboard and metal framing was used in place of CMU. 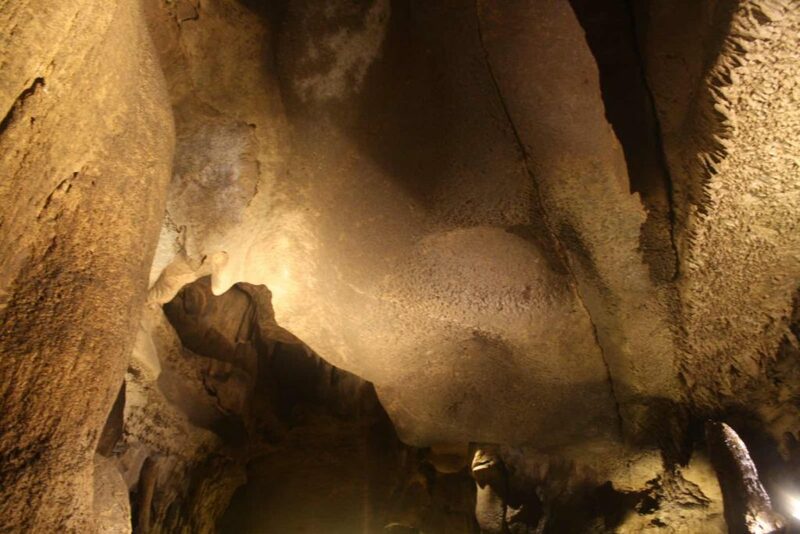 We also worked on changing local and state codes for fire stairs and artificial lighting requirements. We were able to work with the Commonwealth to reduce required lighting level requirements for direct/indirect lighting in classrooms statewide so schools could save energy (and money) and provide higher quality classroom lighting. 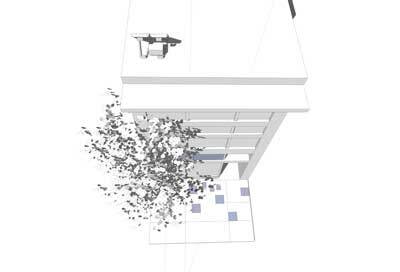 We were also able to limit the requirement for fire stairs versus open stairs so that sensible pathways and more secure supervisory sight-lines could be achieved. 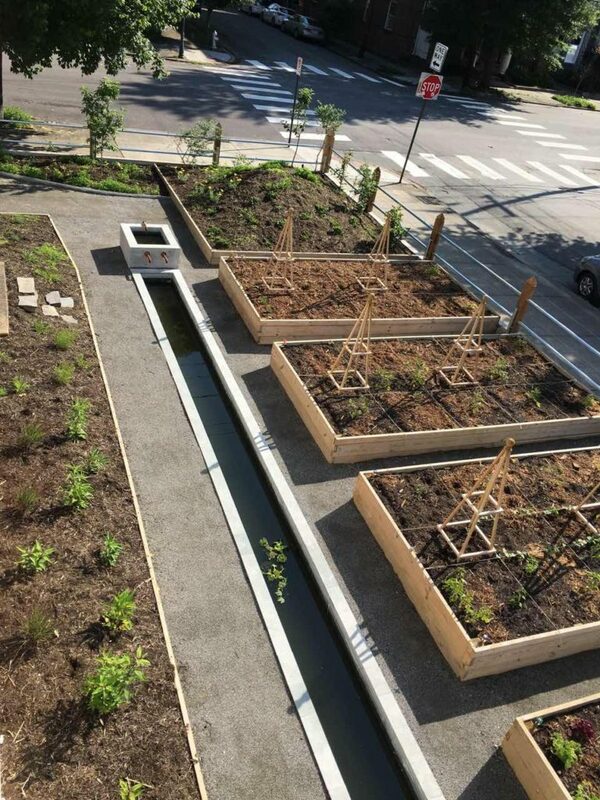 Outside the building we started our sustainable site approach with Xeriscaping, modified bioretention, grasscrete replacing access paving and exterior hard surfaces, zero-cutoff site lighting, and low height walkway lighting. 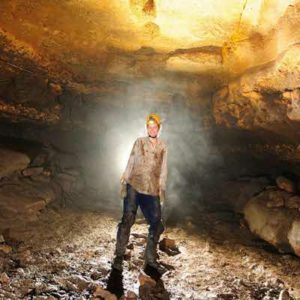 Mechanical equipment was not hidden but celebrated and integrated into the building vocabulary, thus providing another teaching tool for educators to utilize. 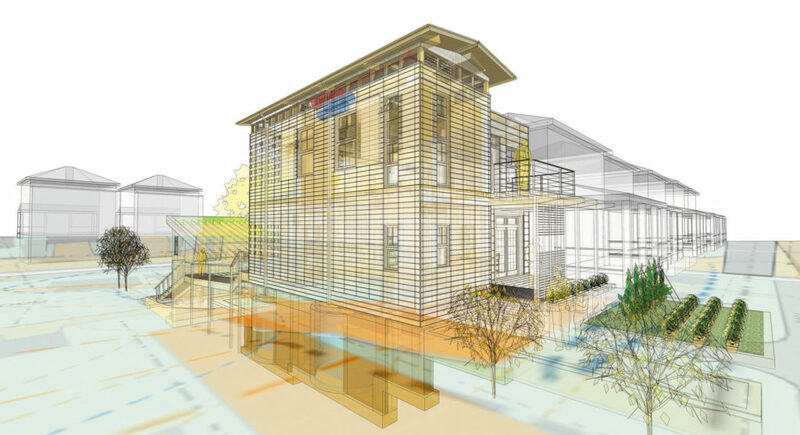 The simplest and most effective way of saving energy is to properly orient and protect building surfaces and window exposures. 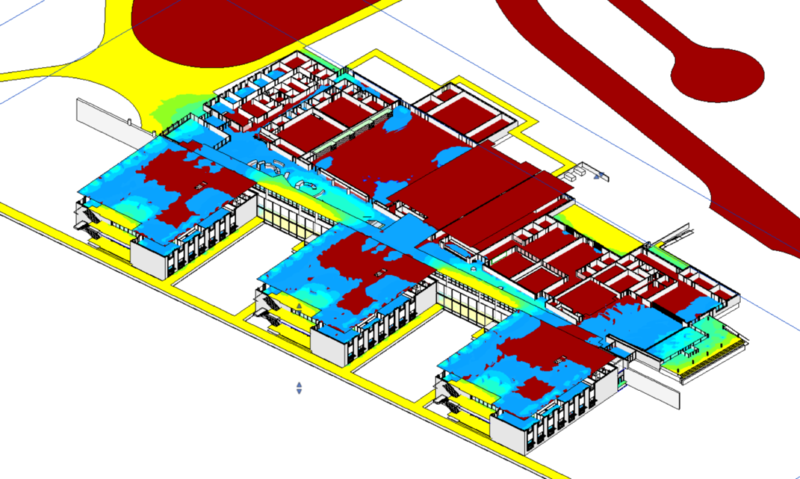 The building’s footprint, and thus roof surface area, was reduced by more than 30% by using a two-story plan. Highly reflective roof finishes and insulated walls help reduce heat gain. 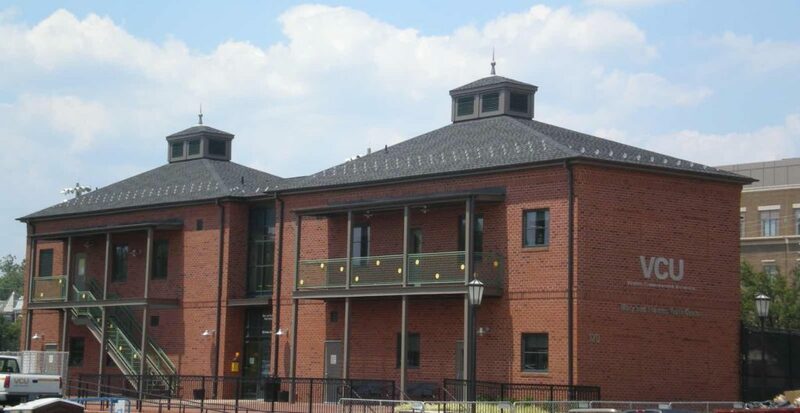 The brick used is local and the metal roof and walls are produced in nearby Pennsylvania. Context is (was) rural, agricultural of silos of terra cotta & barns of brick and metal panel. There is virtually no exterior paint by design – only a few painted metal doors. 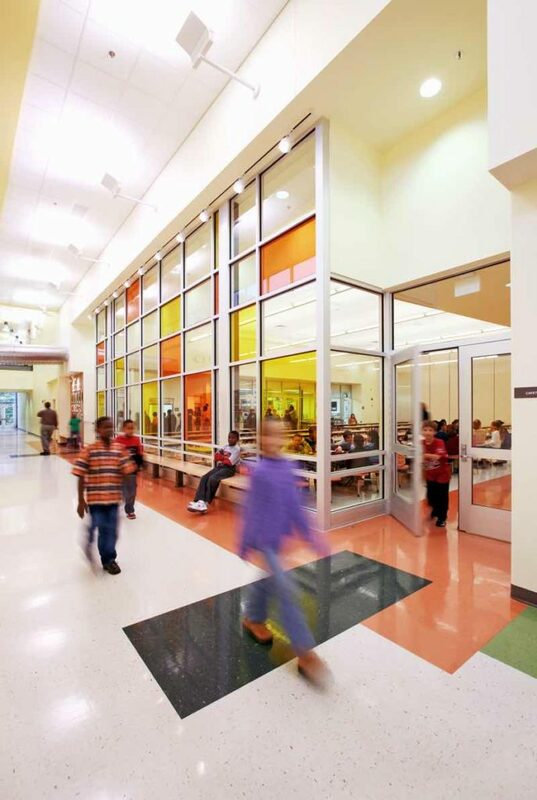 On the inside, low or no-VOC paints, carpet tile, natural wool wall carpet in corridors for tacksurfaces and seating backdrops help keep air clean and interiors comfortable. 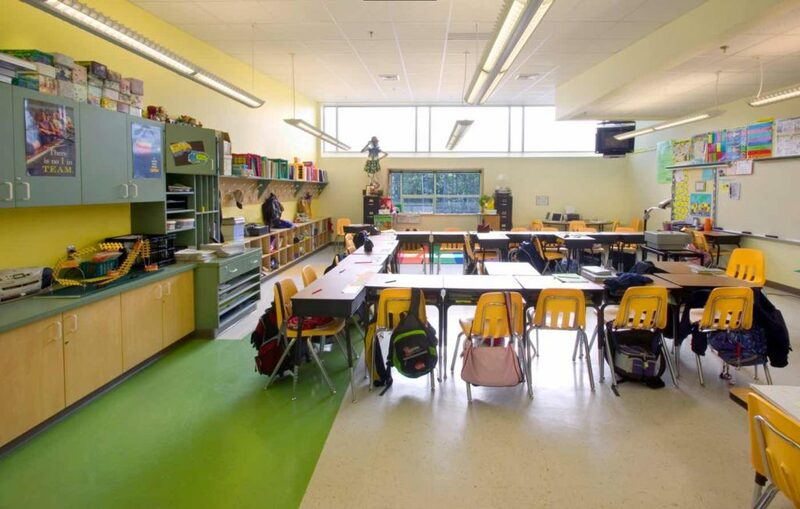 Natural lighting and limited sunlight activate spaces and brighten minds. 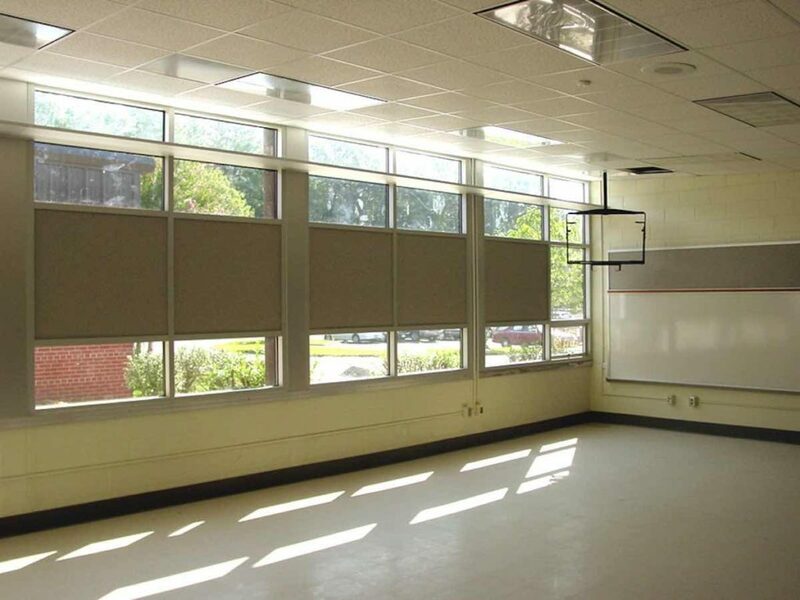 Carefully designed exterior solar shading devices admit sun in the winter and daylight in the summer, while frosted glazing bathes classrooms in diffuse natural light, reducing or eliminating the need for artificial light for much of the day. 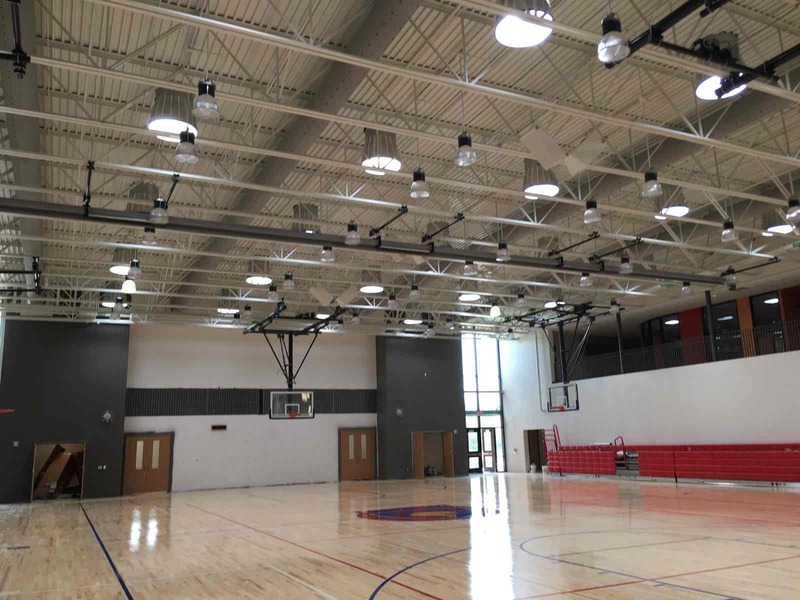 Linear and compact fluorescent fixtures provide efficient, even light where necessary. 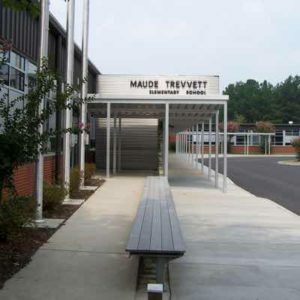 Trevvett is a K-5, 500-student, 55,000 square foot, 1950s neighborhood school in the Lakeside area of Henrico County. 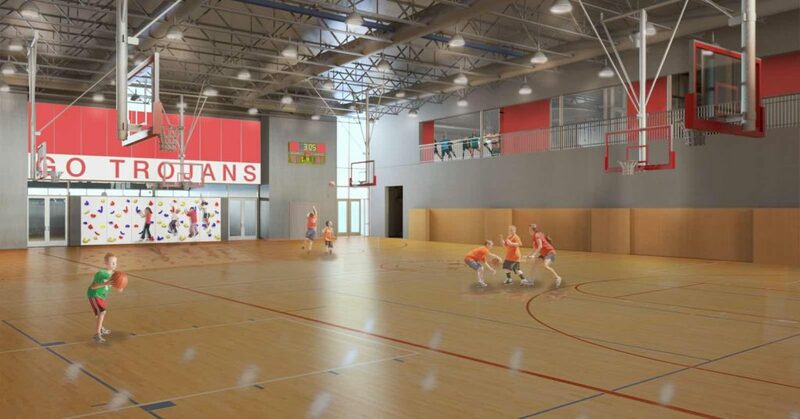 Two subsequent additions in the 1960s and 1970s added classroom and interior basketball and play space. When we first met with the staff we were struck by the limitations of the administration to properly manage the “front door” of the school and the limited space afforded to the staff. 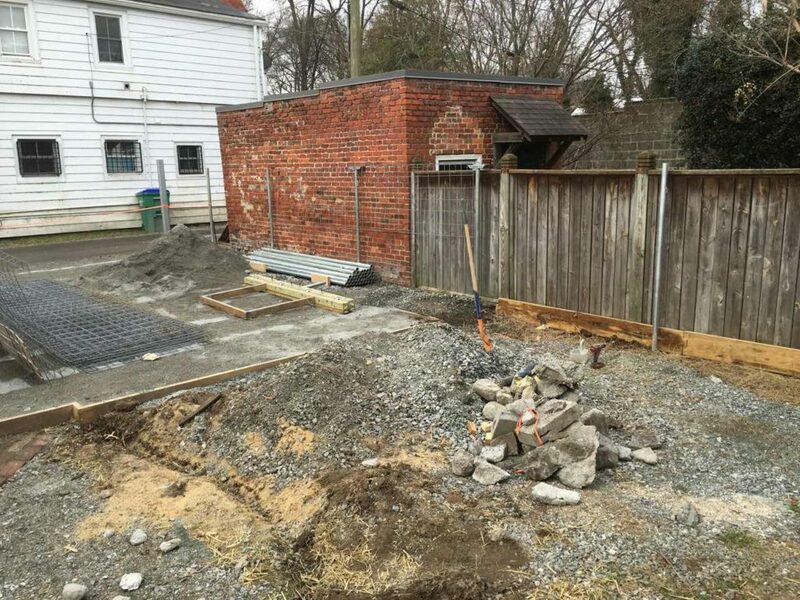 They were obviously in need of additional space but didn’t have the budget for additions. 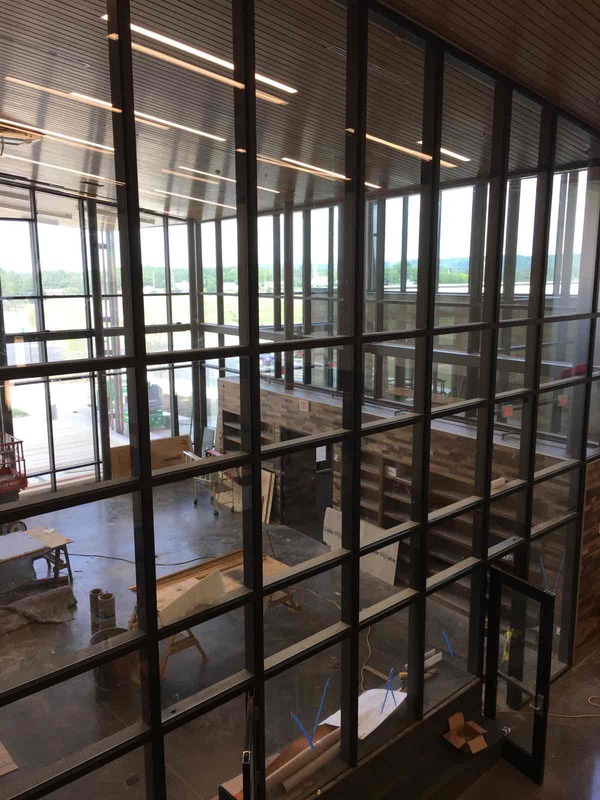 After meeting with the staff, educational specialists, and County School officials, we were able to put together a plan to capture new space within the existing building footprint as part of the complete renovation of the existing facility. 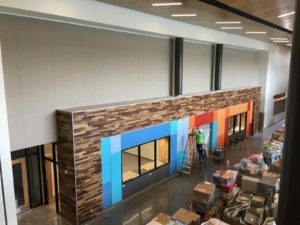 The opportunity to re-orient the school entrance to the bus drop-off area allowed this cost-efficient capture much needed existing interior space for a new administrative area and media center. 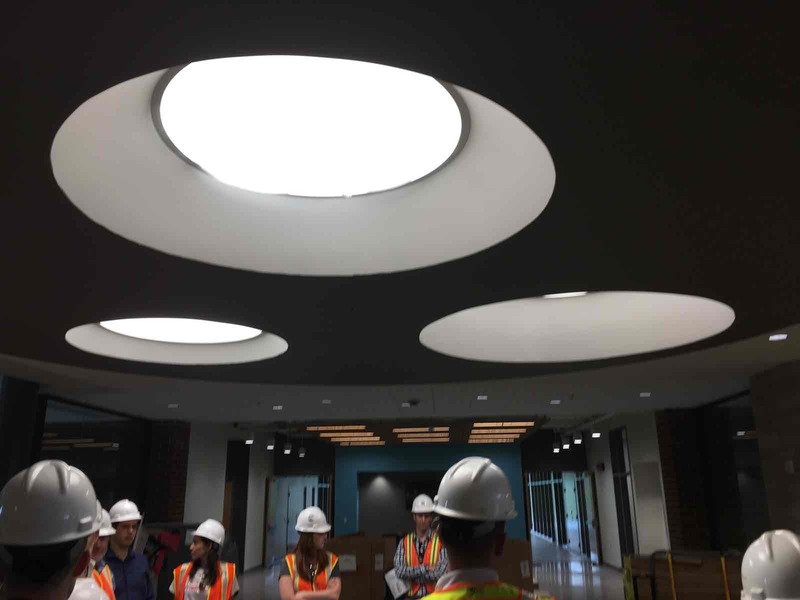 The renovation also addressed daylighting in a systematic way through a new window system throughout the school. The existing teachers and administration had been living with a single-glazed strip windows with unit air conditioners perforating and vibrating the system. The only provision for controlling the sunlight and glare from all of this glazing were blinds and curtains, which remained shut in most rooms. 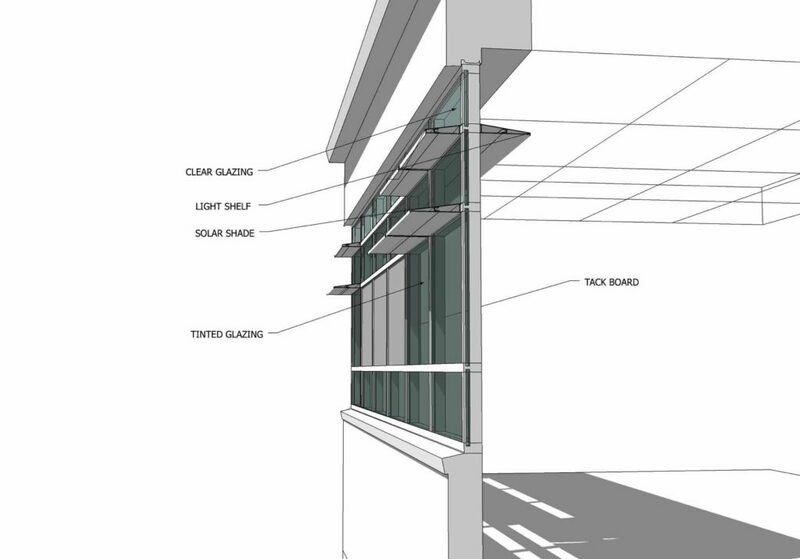 We devised a four-point system that accomplished exterior solar shading, an interior lightshelf to bounce light from the clear high windows onto the ceiling, tinted, low-e vision glazing, and a tack-board surface with rigid insulation panels for greater thermal efficiency in the expansive window system. This was all done in a vernacular style fitting of the 1950s original building. 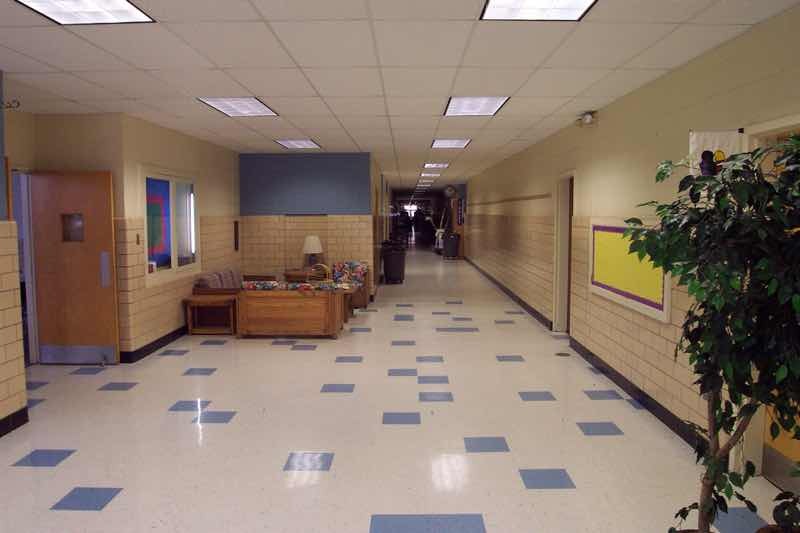 All new finishes – cabinets, carpet, flooring, paint – allowed the introduction of modern green materials and methods in to this mid-20th century school. 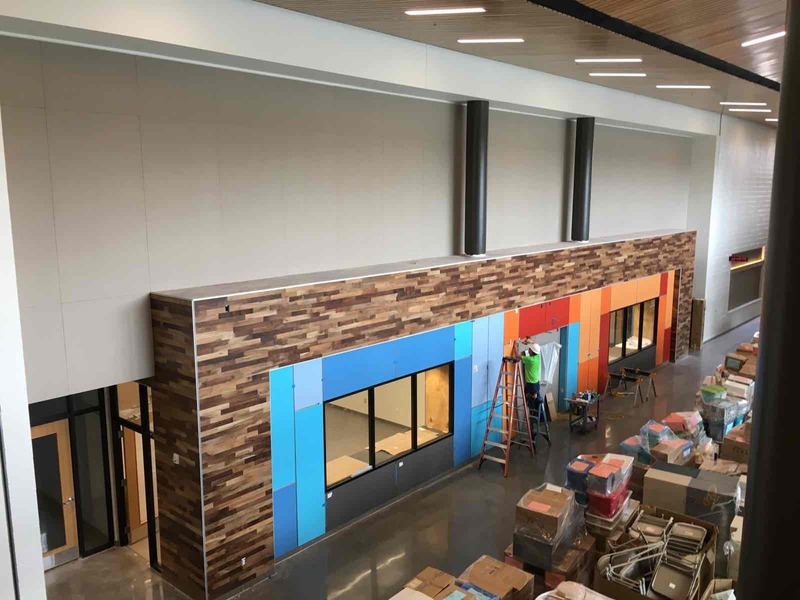 We were careful to not paint to broad a brush over the school with its various styles and additions and took each portion on a case- by-case basis while applying the same logic and systems thinking. [singlepic=494,240,180,,right]For example, a small 1960s addition was quite a challenge with its existing eight foot high ceilings with no space for new ventilation systems or lighting. We devised an undulating ceiling system between beams that would allow modern uplighting, allowing better A/V viewing and less glare. 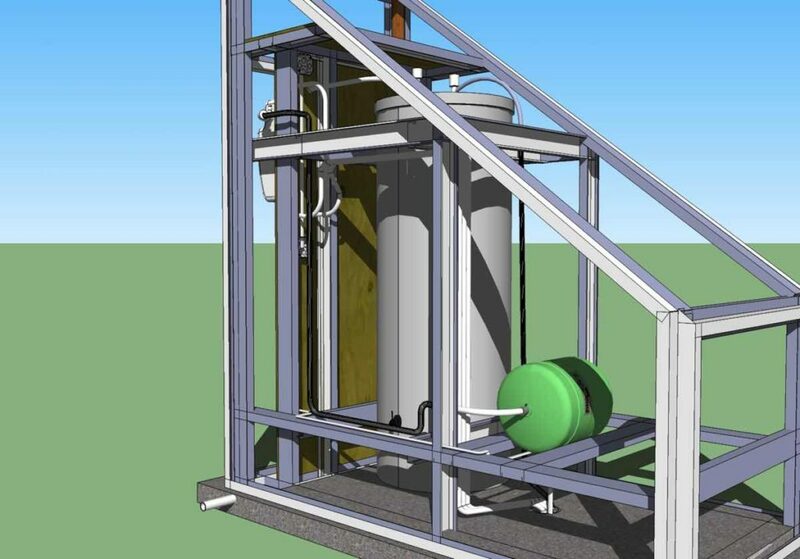 We also, with our engineers, developed a pre-conditioned fresh air system that worked in conjunction with unit ventilators in each room, saving tons of energy and working in the limited mechanical spaces of this existing structure. 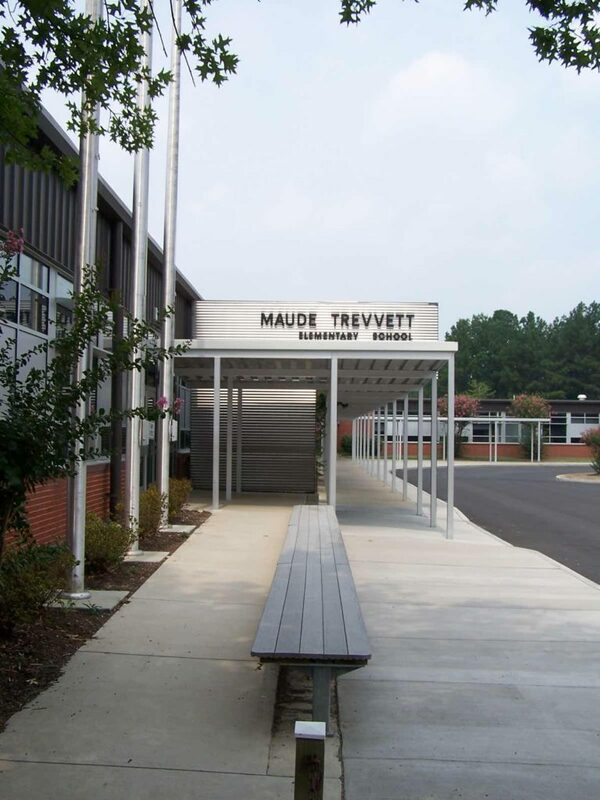 New communications infrastructure and technologies have brought Trevvett into 21st century instructional technology and networking capabilities, while accessibility modifications and life safety updates have brought much of the building into conformance with contemporary codes. 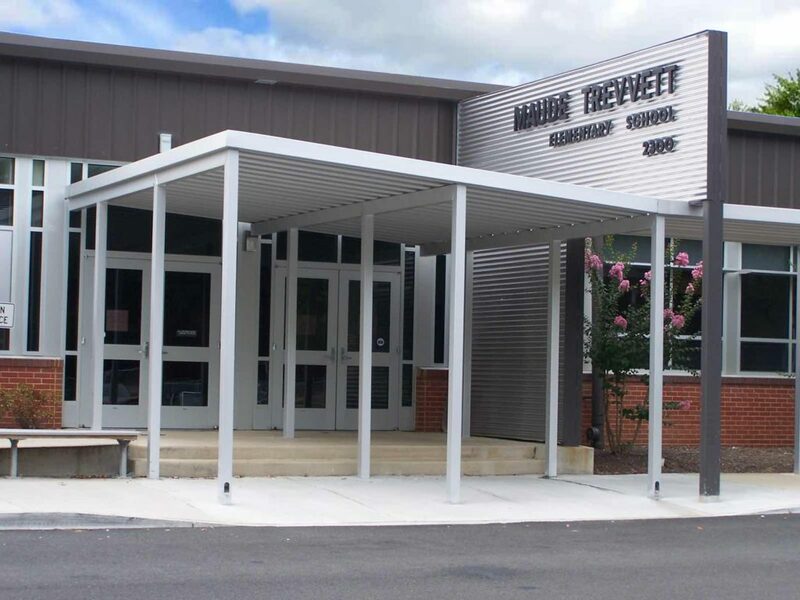 Along with a gentle upgrade to the school’s exterior appearance, including a perforated stainless steel entrance marquee, we were able to solve many problems by turning them into opportunities for design, function, and environmental benefit, all of which benefit the learning, instruction and working taking place in this really cool little neighborhood campus. 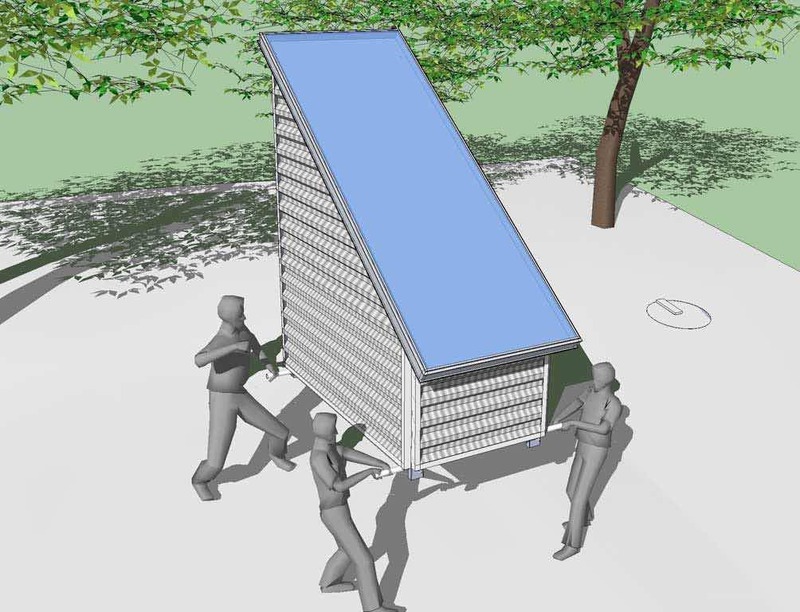 What if this housing was flexible enough to change as the needs of the owner’s changed? 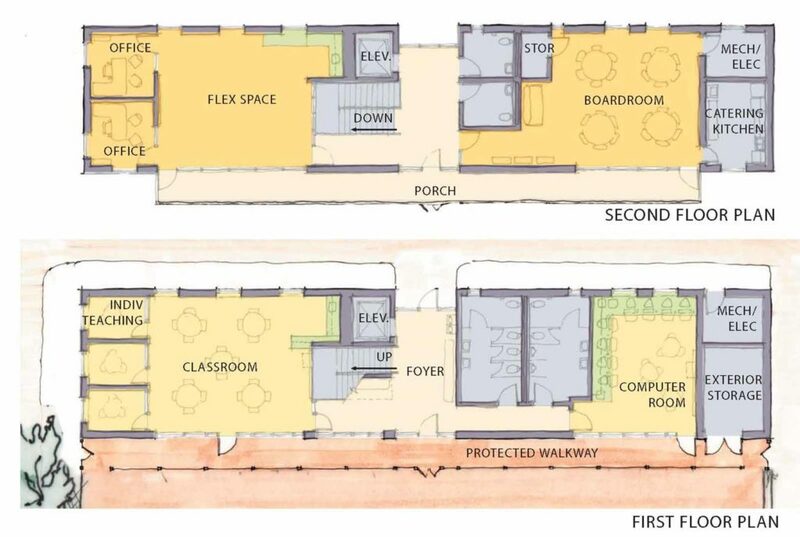 What if this housing encouraged ownership in a rent dominated neighborhood by providing not only a way to save money, but to make money as well? 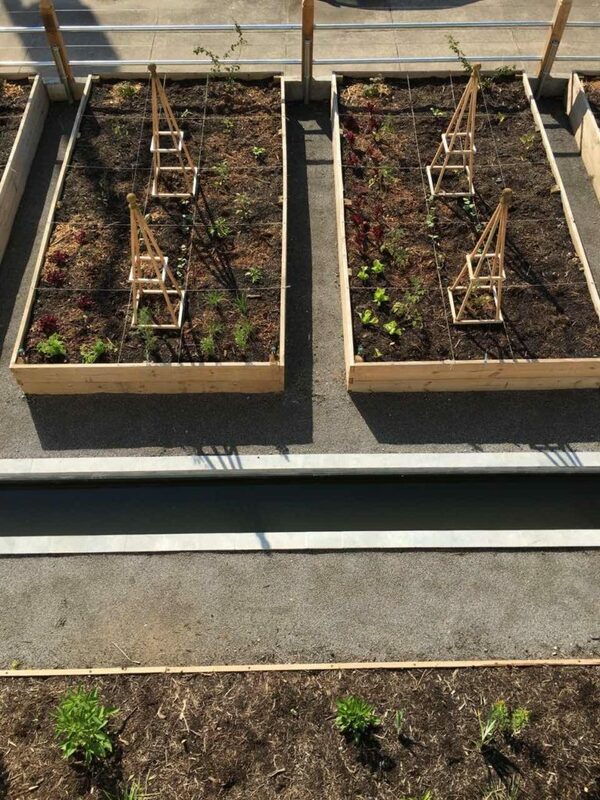 And what if this housing treated the environment as a source of health and nutrition, as opposed to merely a source of resources to be used? 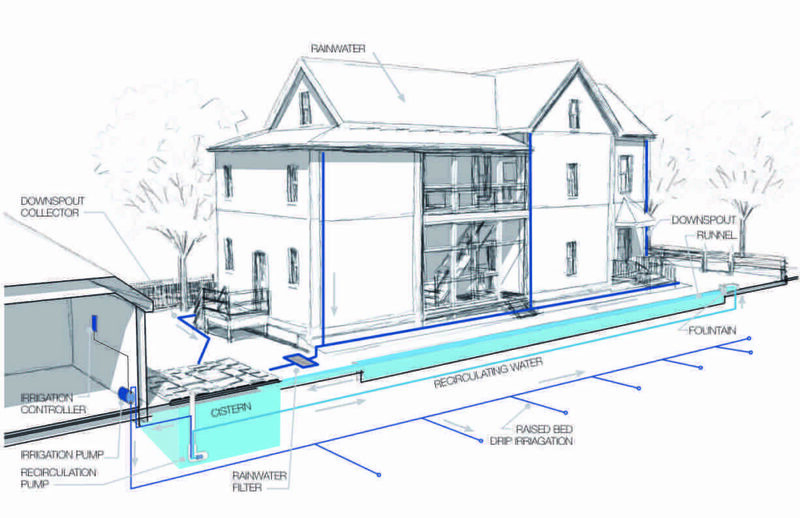 How can we continue to build housing that our environment and our society can not afford? 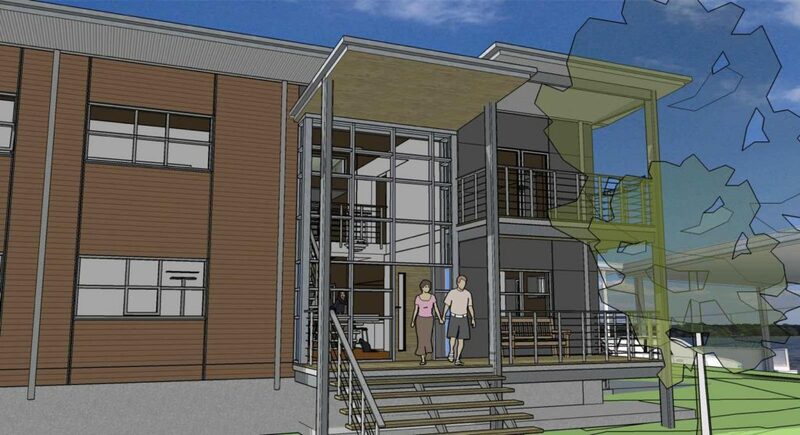 This 1700 sf three bedroom house with 750 sf garage apartment for rental income was designed for the Cradle to Cradle competition in Roanoke, Virginia is intended to be a solution that is inclusive to its origin, its place, and its future. 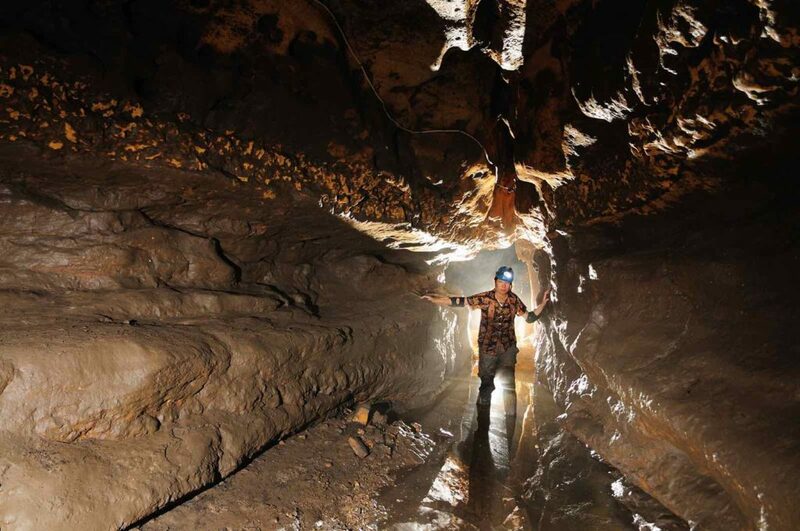 Every decision has been made in an effort to harness local resource and energy. The design was initially inspired by the natural qualities seen in a merrygold bloom found on site. 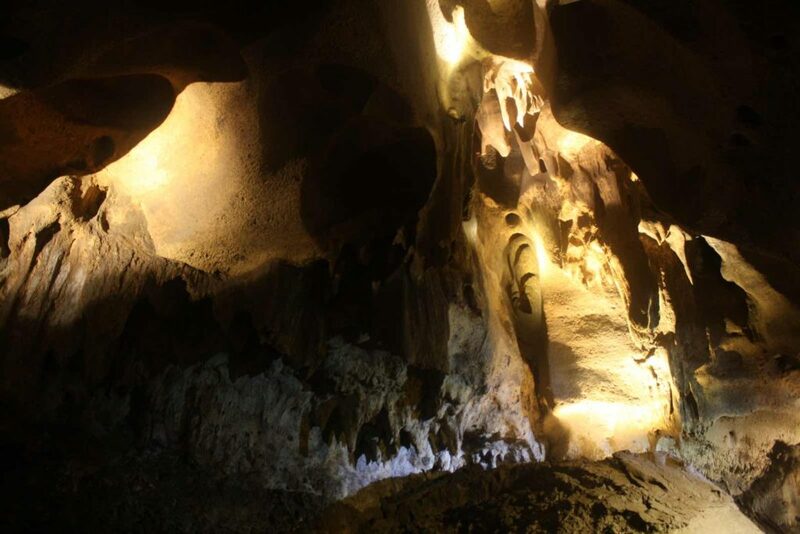 We were inspired by its inherent behavior of opening up and following the path of the sun, and then transferring that energy back to the plant in a continuous nutrient cycle. 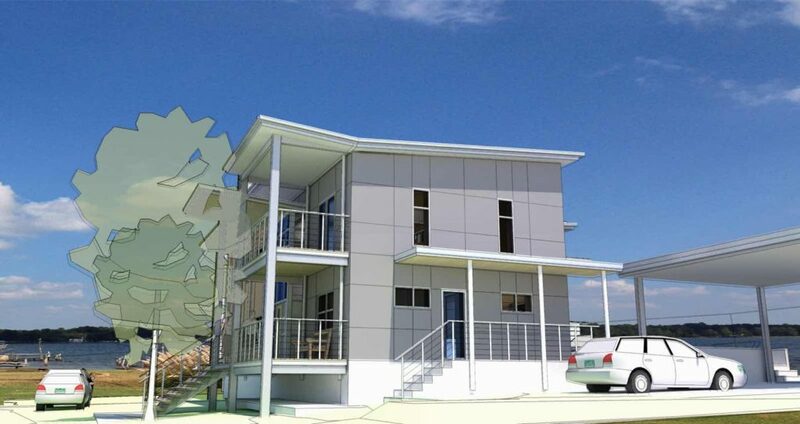 The house is designed with the intention to spur refurbishment within a neighborhood that is on the verge of turning from rent dominant to a neighborhood of ownership. 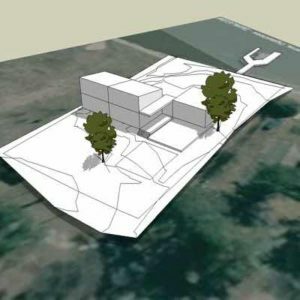 It is designed to be site adaptable. 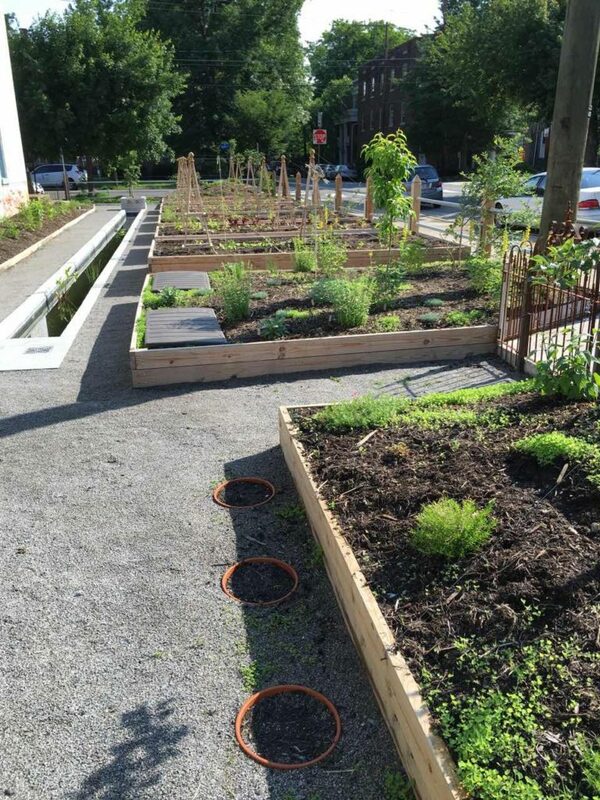 It is also designed to encourage communal use of the area for garden and neighborhood activities. 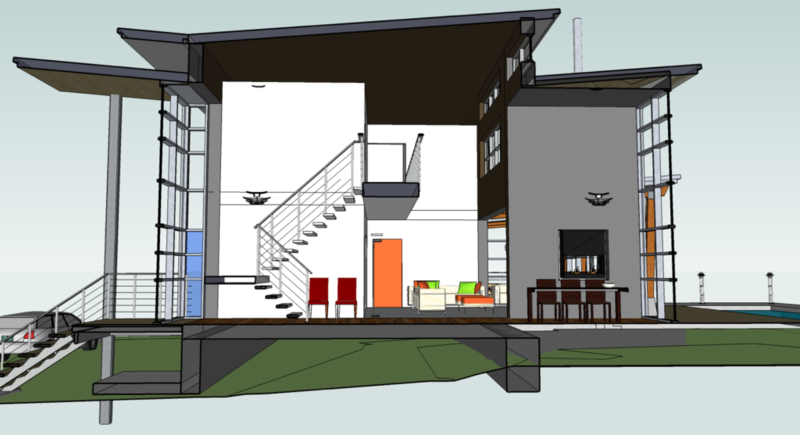 All major components of the Bloom House are designed for adaptability and deconstruction. 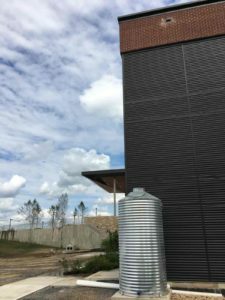 The exterior skin can be any number of sustainable wood or plank products that is attached using a clip system for easy care and removal/replacement. 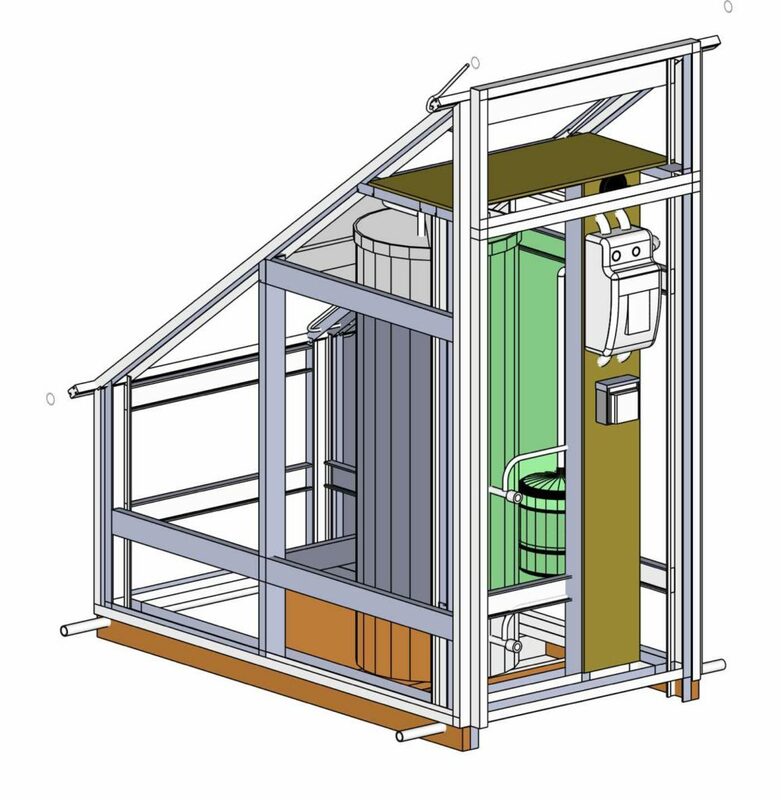 The stair is designed to breathe and to act as a generator for heating and cooling. 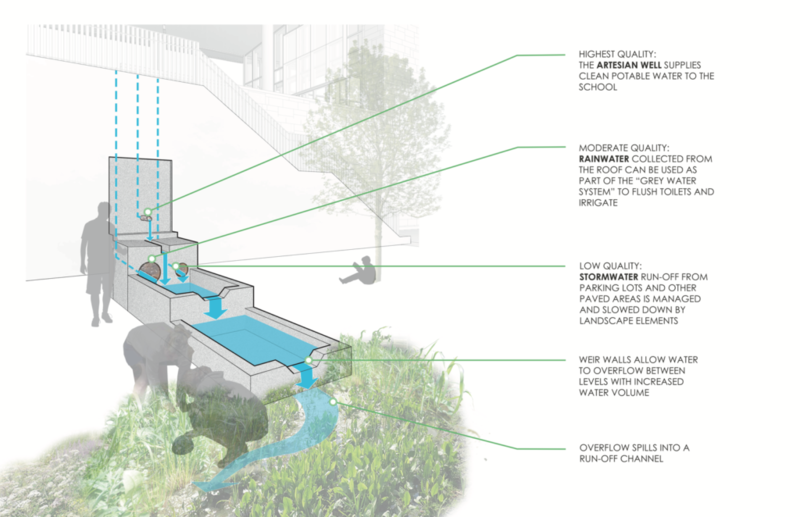 The house is designed to be entirely reliant on the available annual rainfall for water.